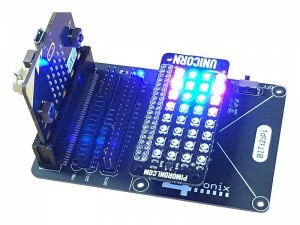 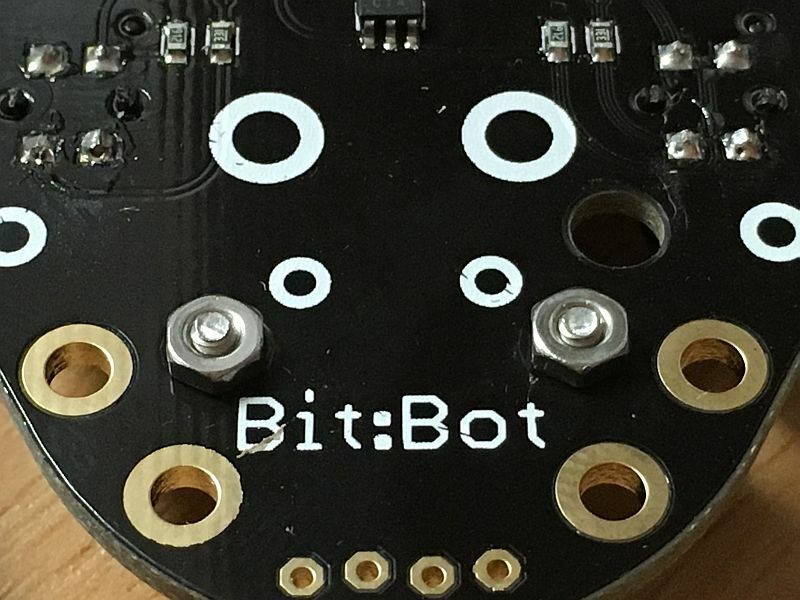 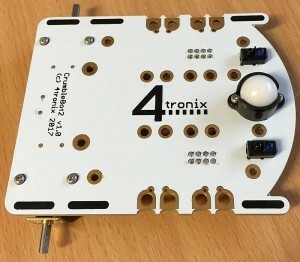 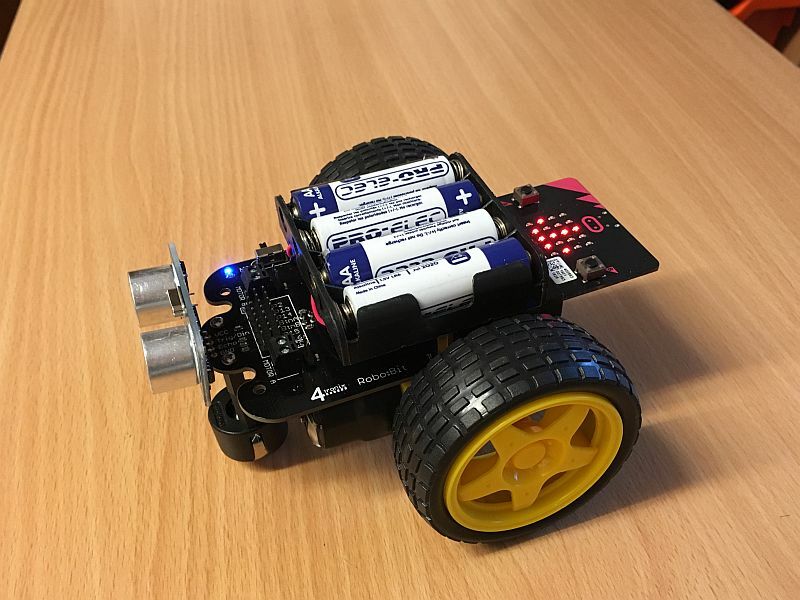 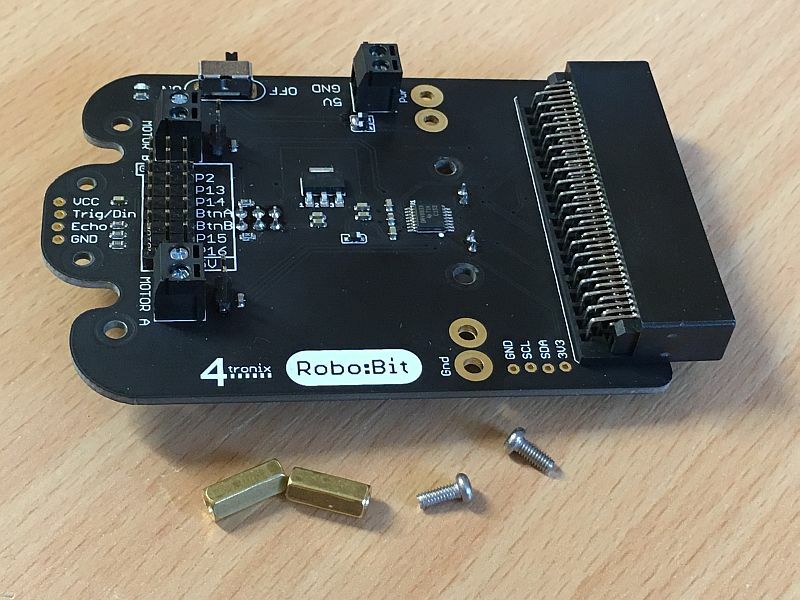 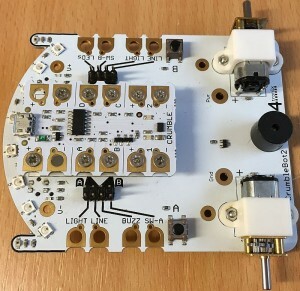 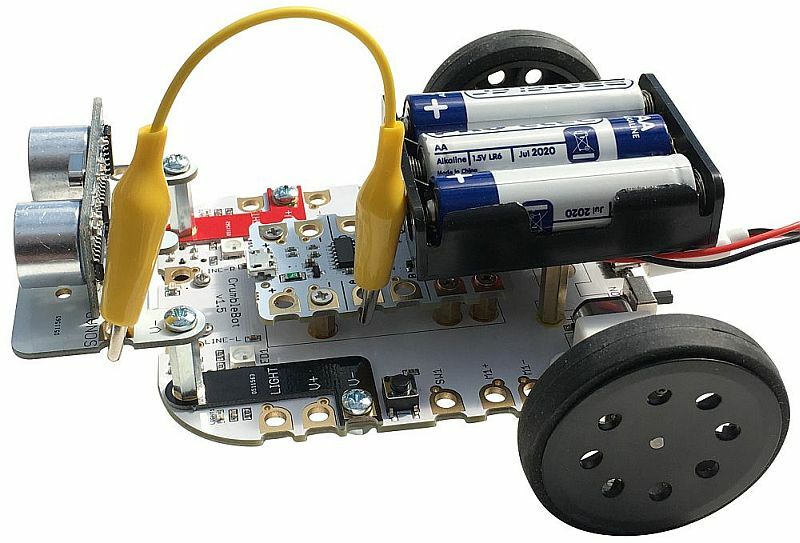 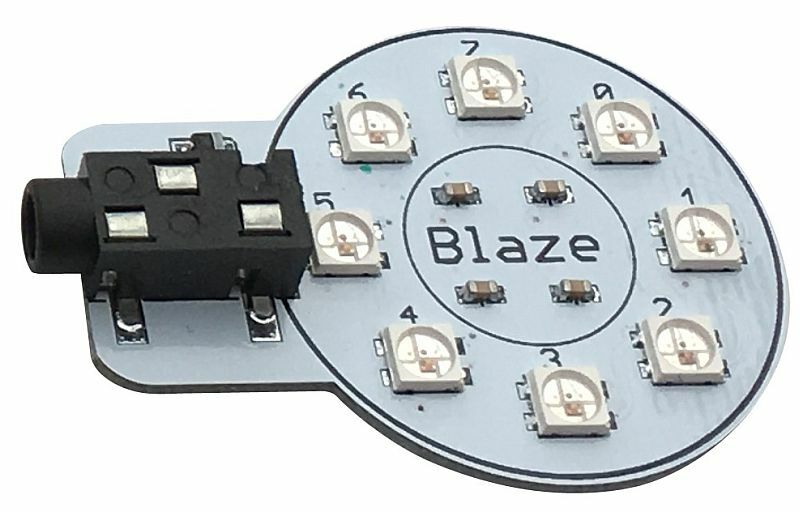 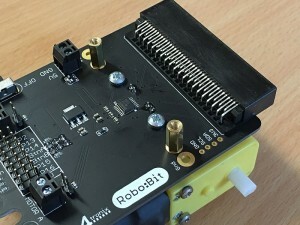 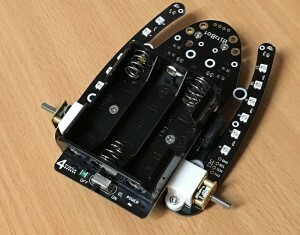 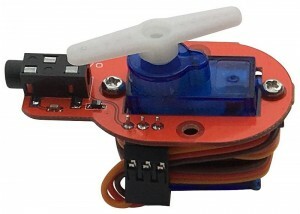 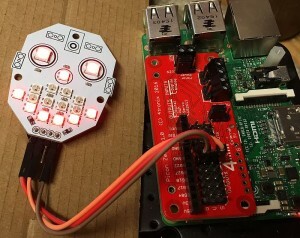 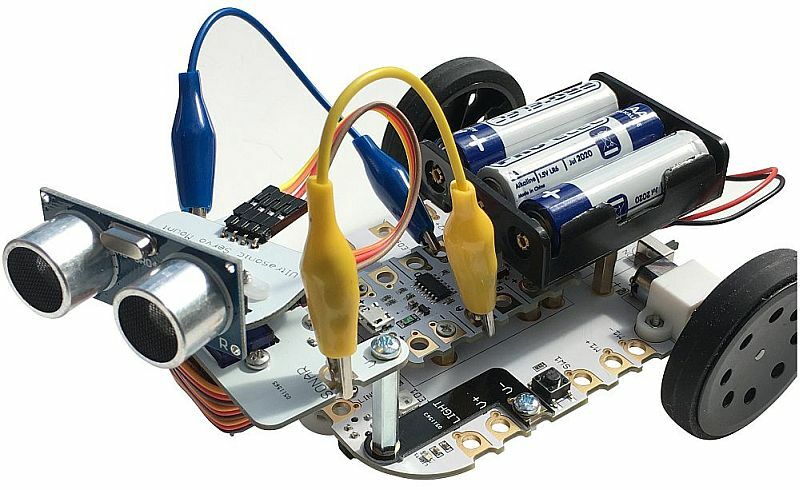 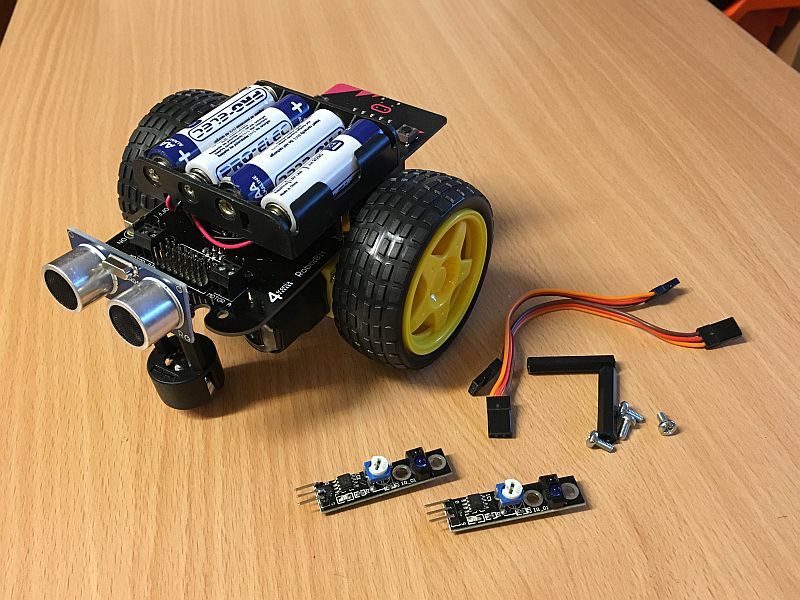 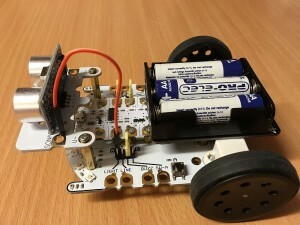 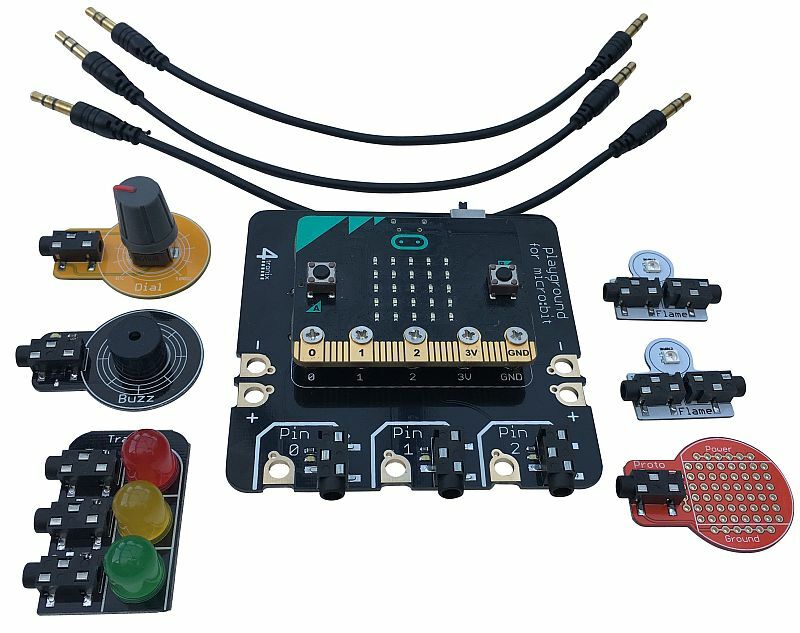 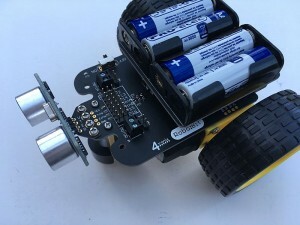 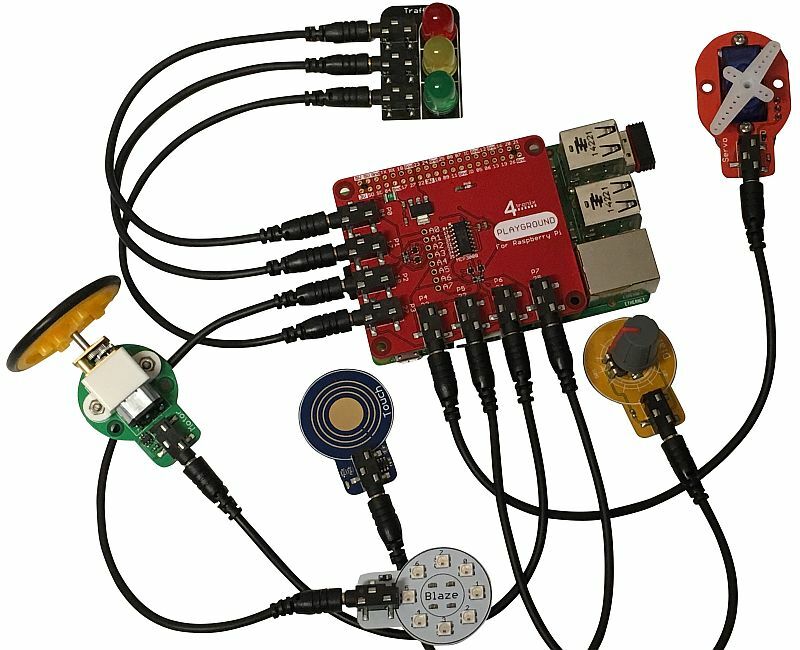 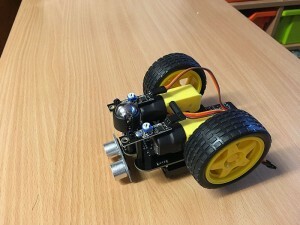 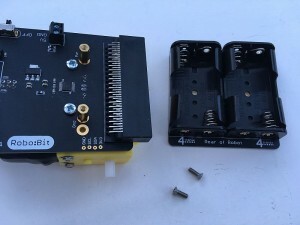 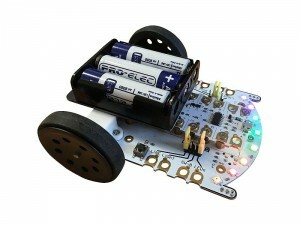 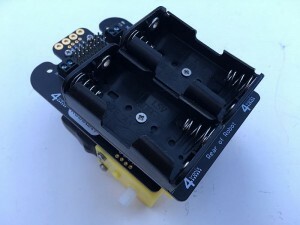 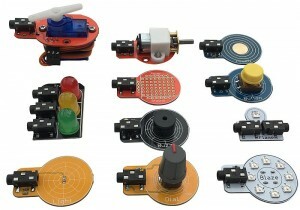 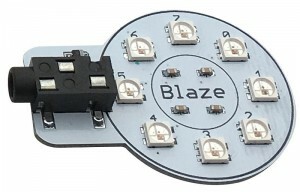 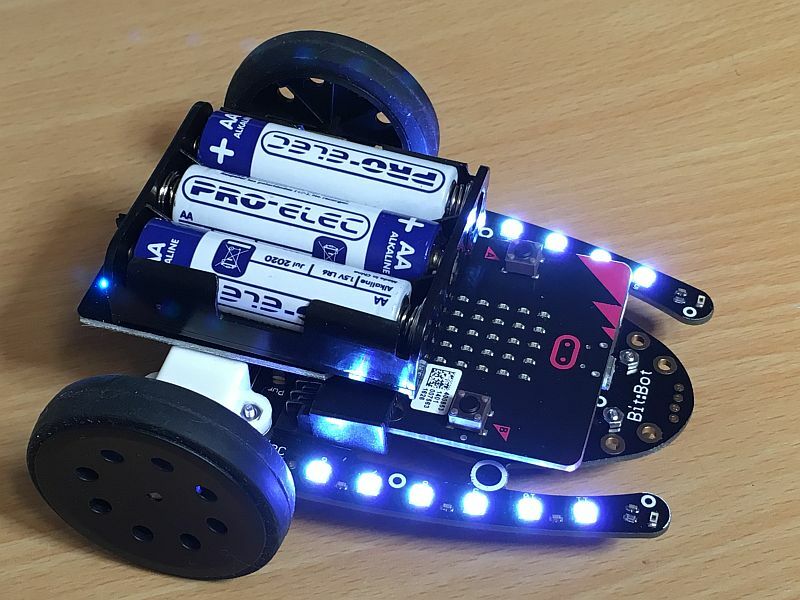 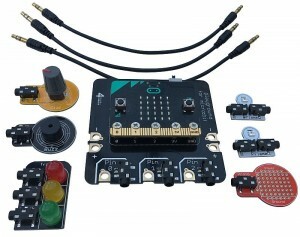 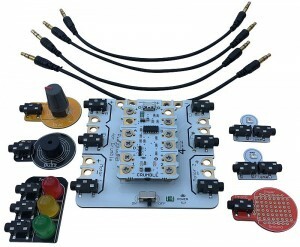 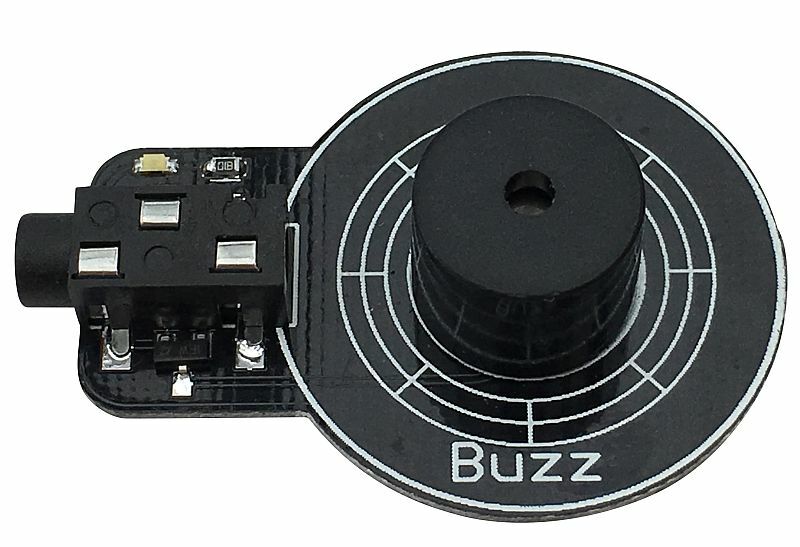 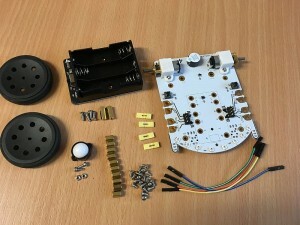 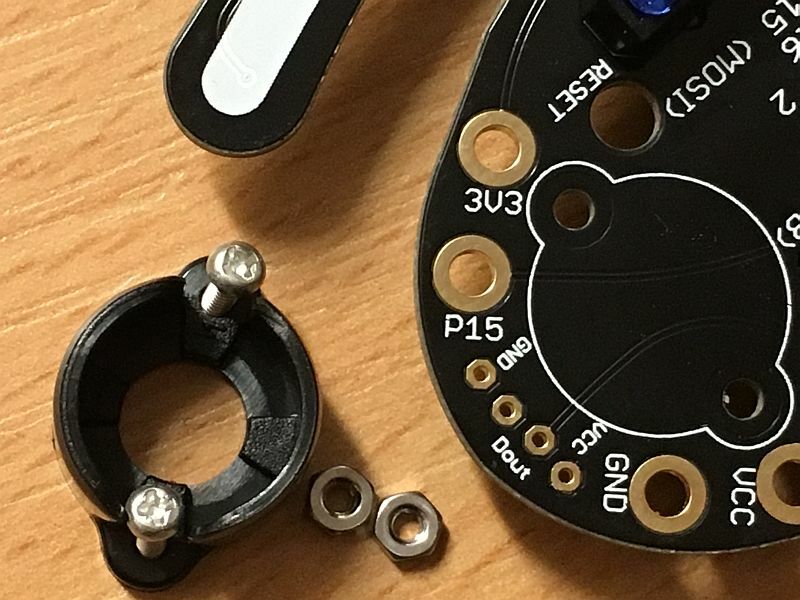 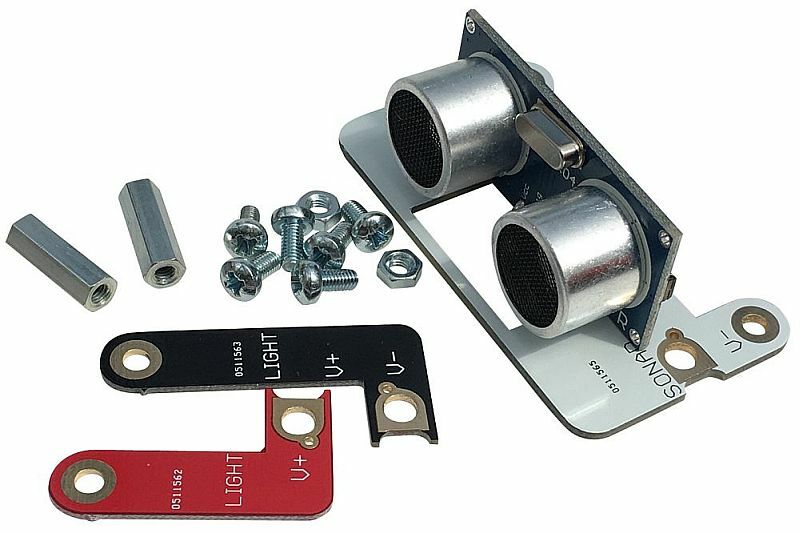 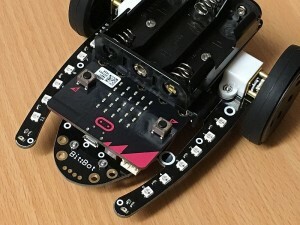 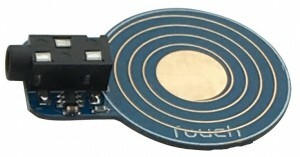 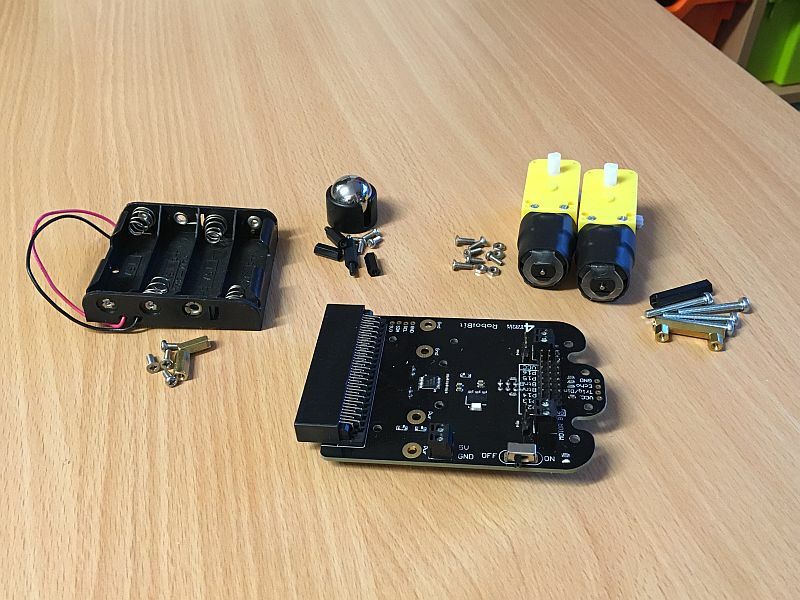 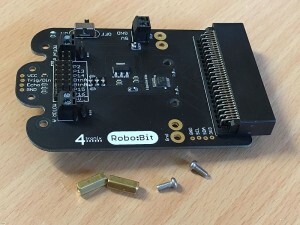 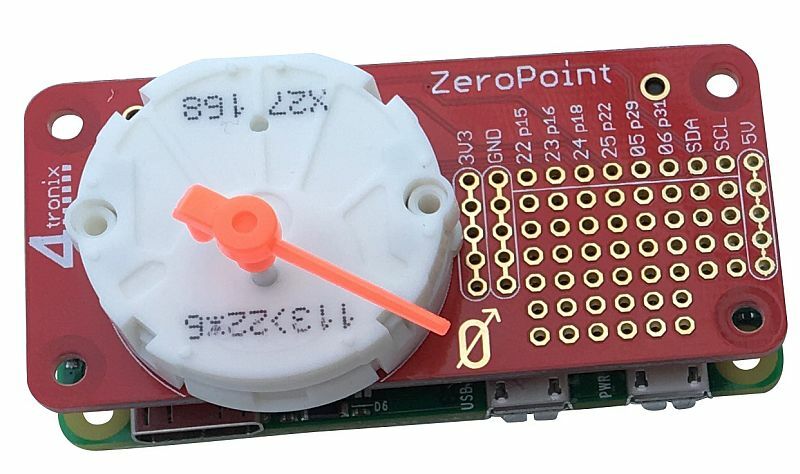 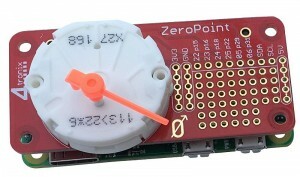 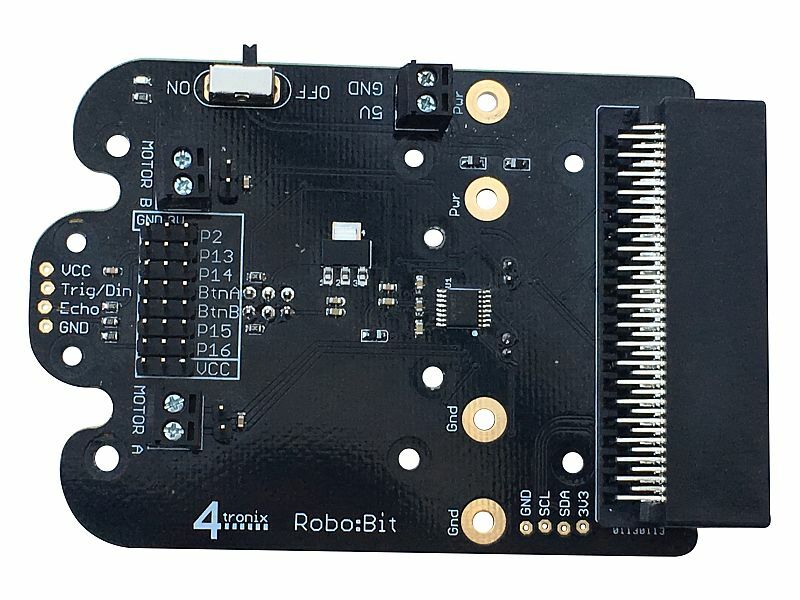 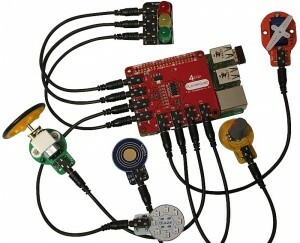 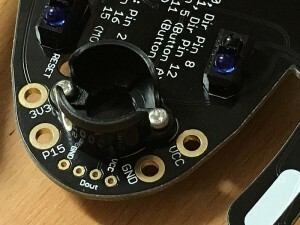 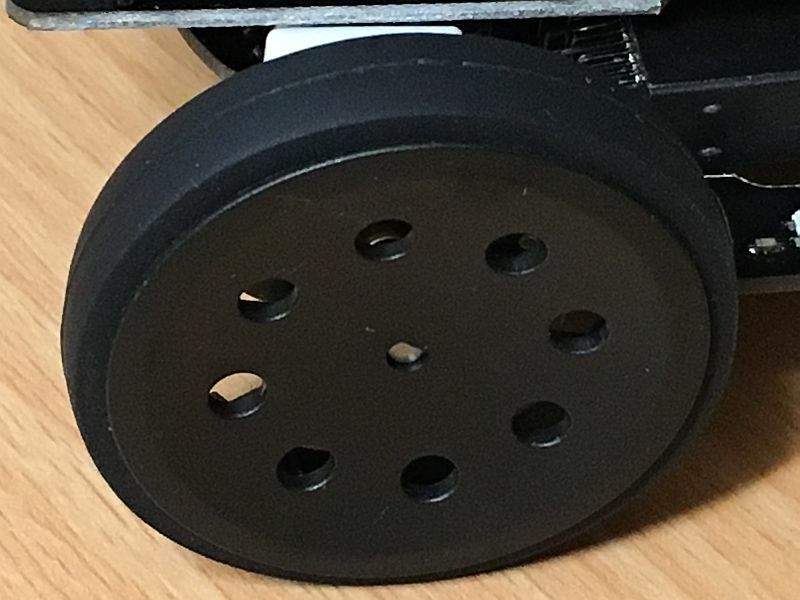 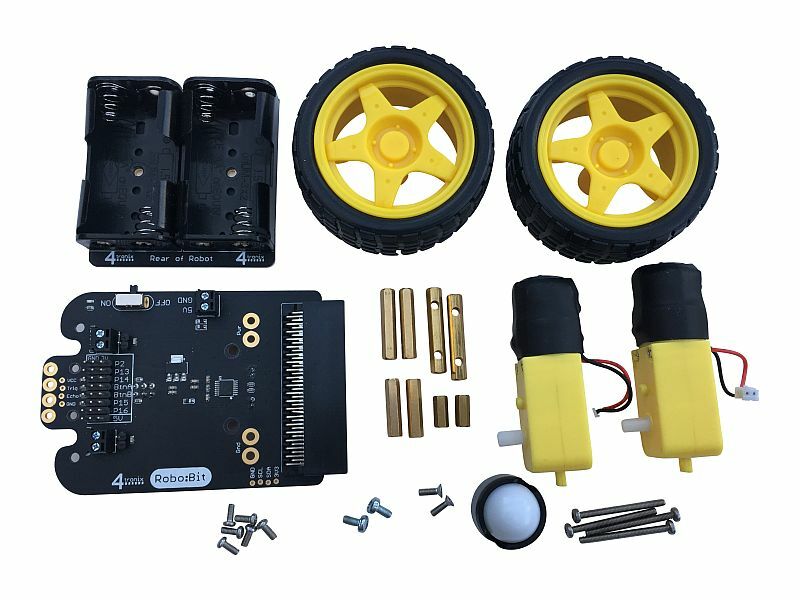 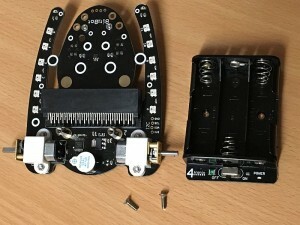 Bit:2:Pi (Pronounced Bit – to – Pie) is a connector and power management system that allows you to plug in a Micro:Bit at one end and a Raspberry Pi addon board (26-pin or 40-pin, HAT, pHAT or other) at the other end. 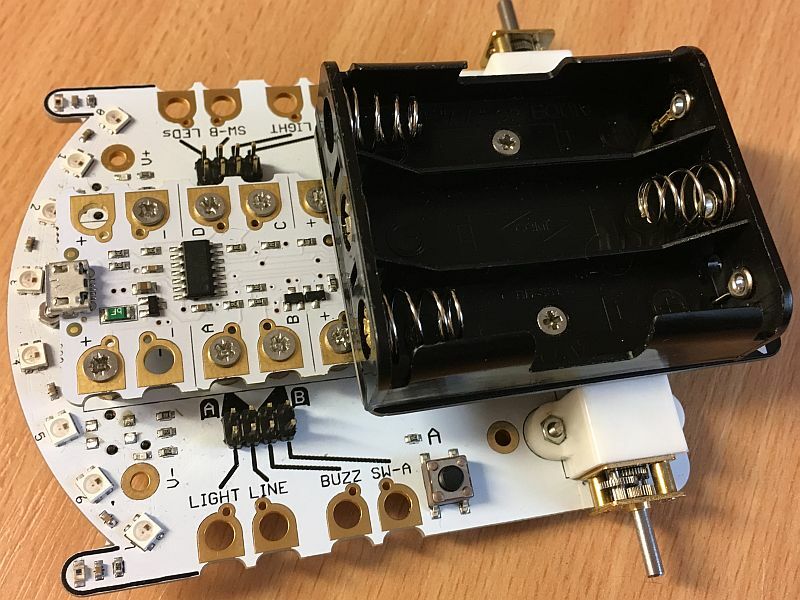 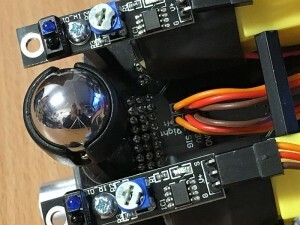 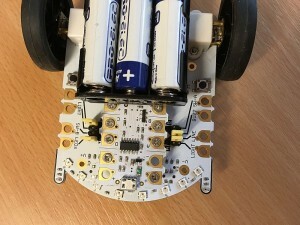 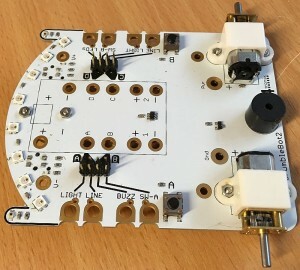 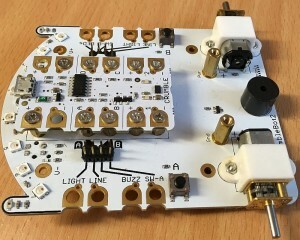 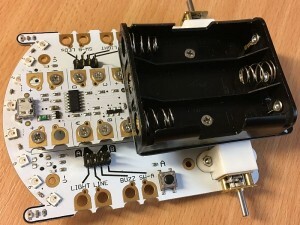 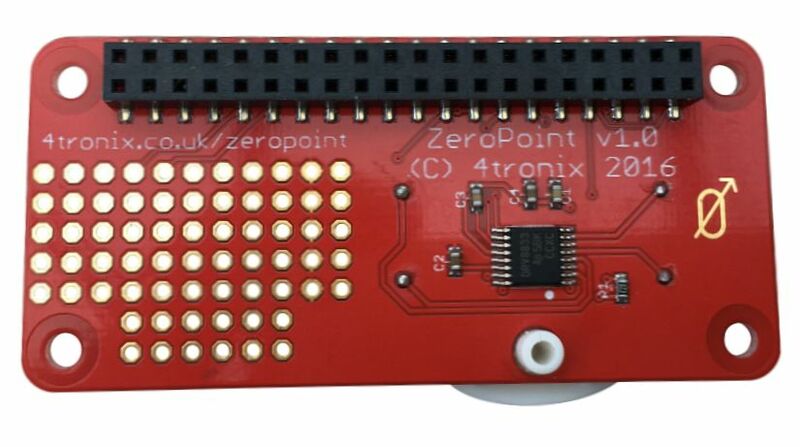 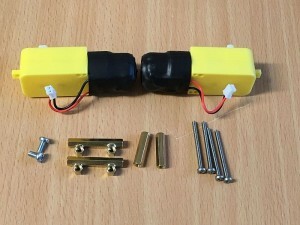 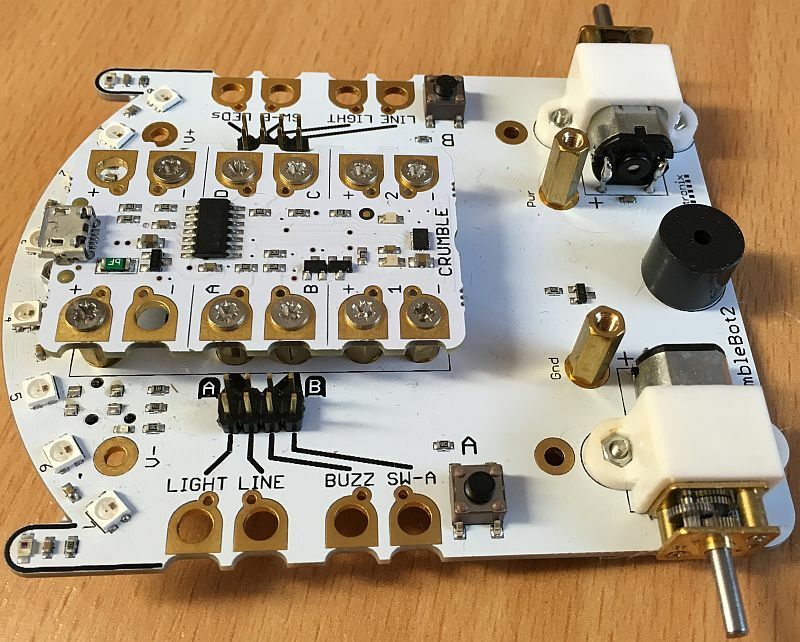 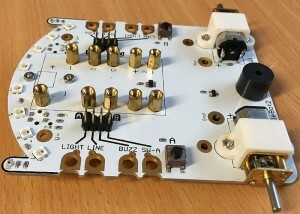 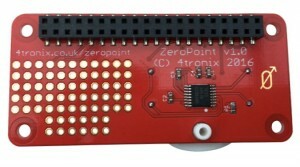 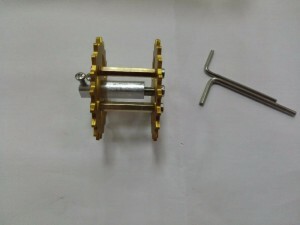 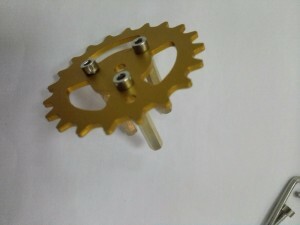 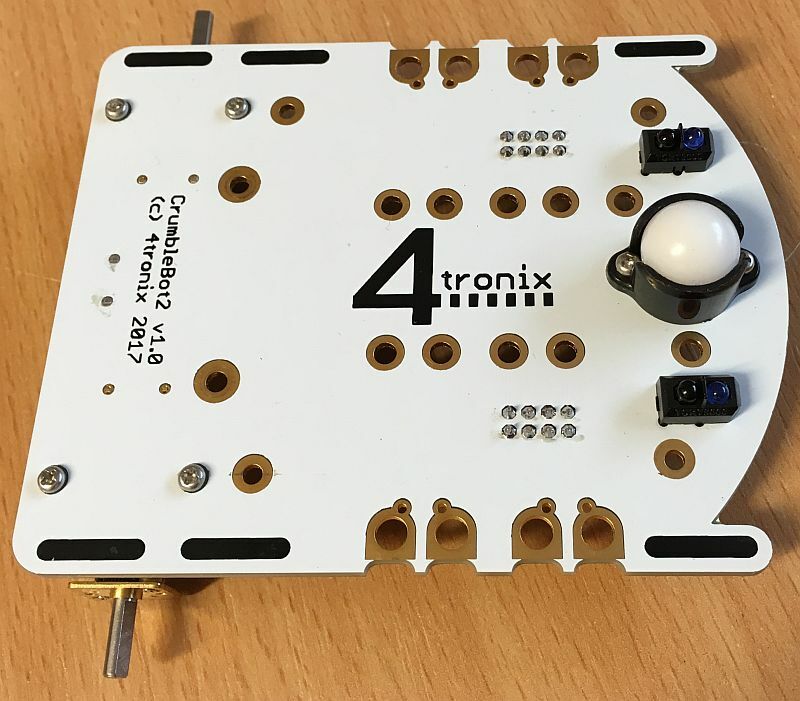 In between there are some breakout and connection headers that enable you to customise how the two boards are connected. 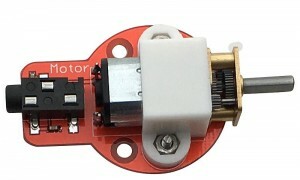 The “5V” signal on the HAT connector is actually from the battery or the micro-USB. 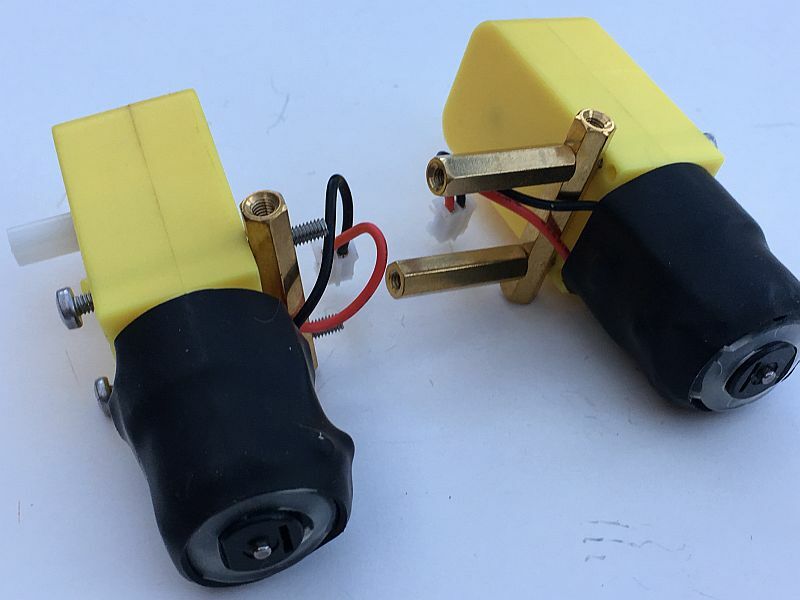 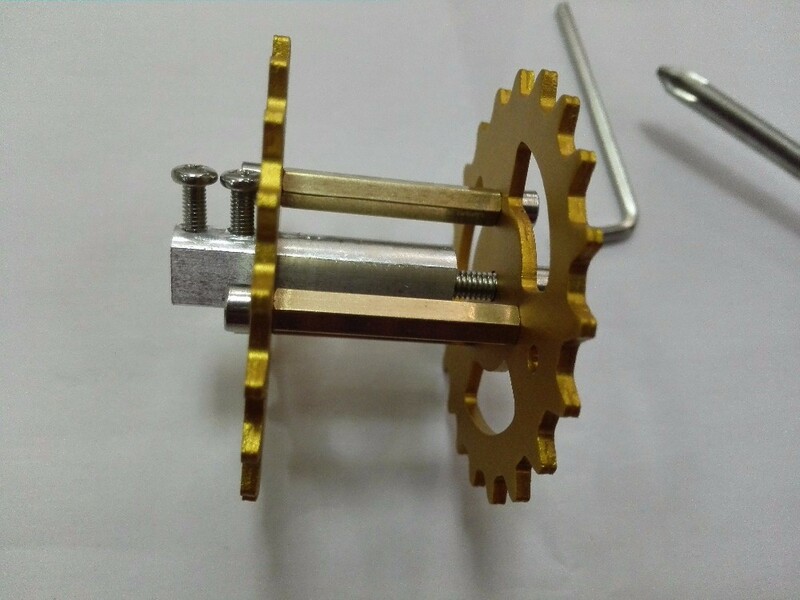 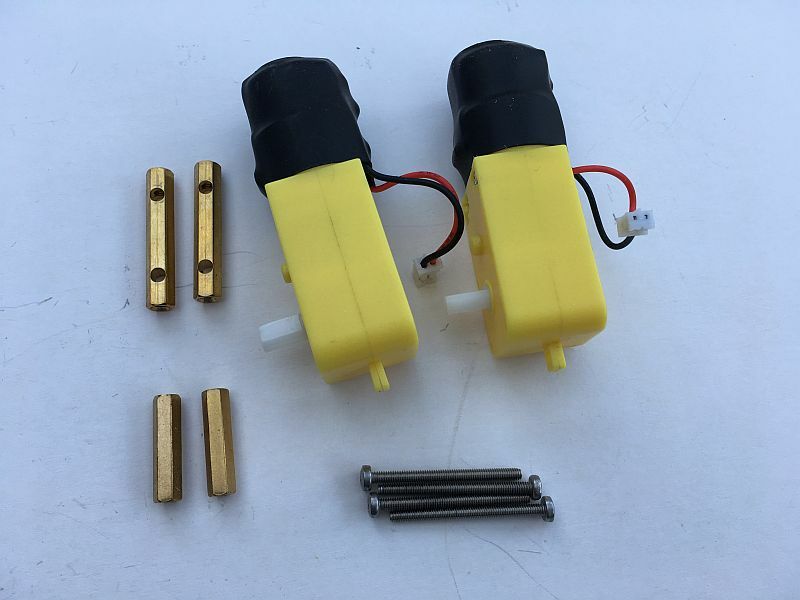 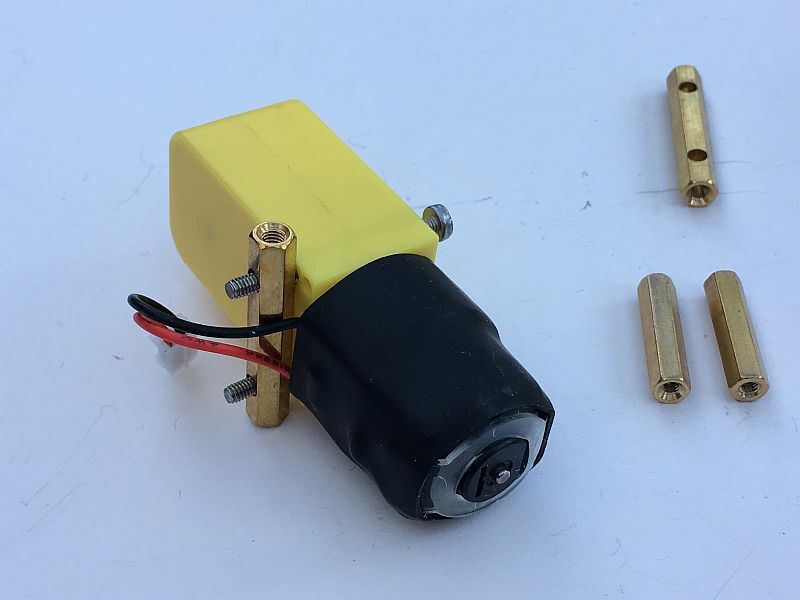 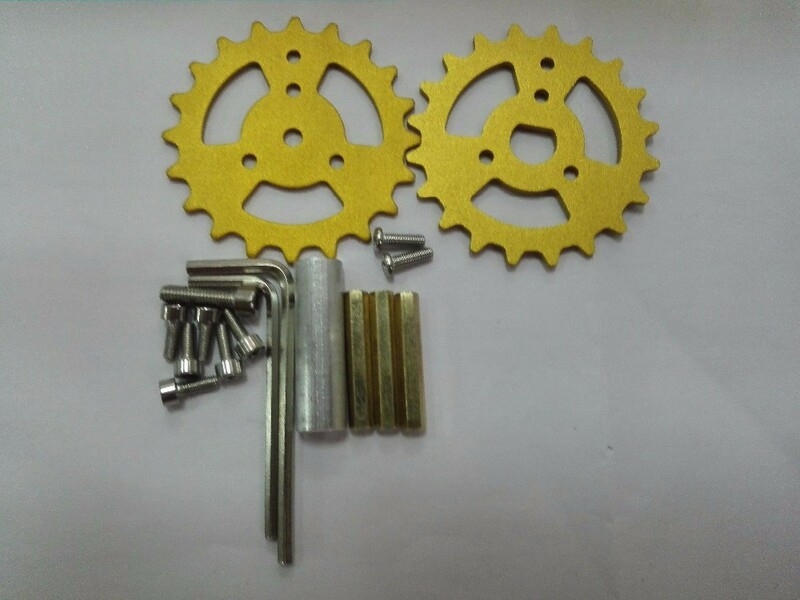 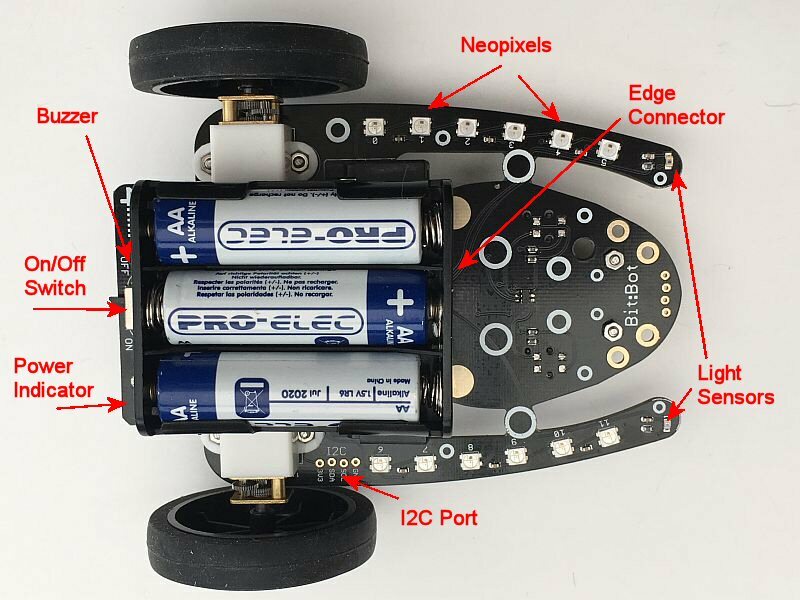 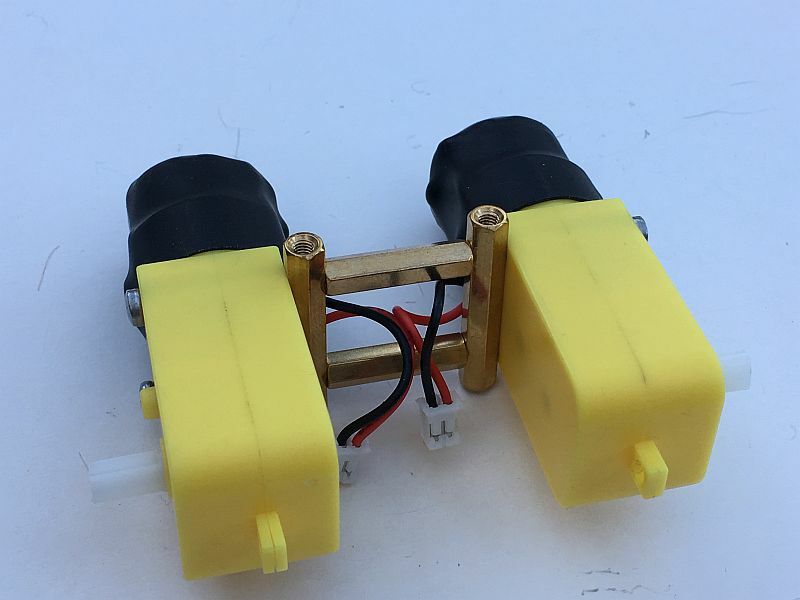 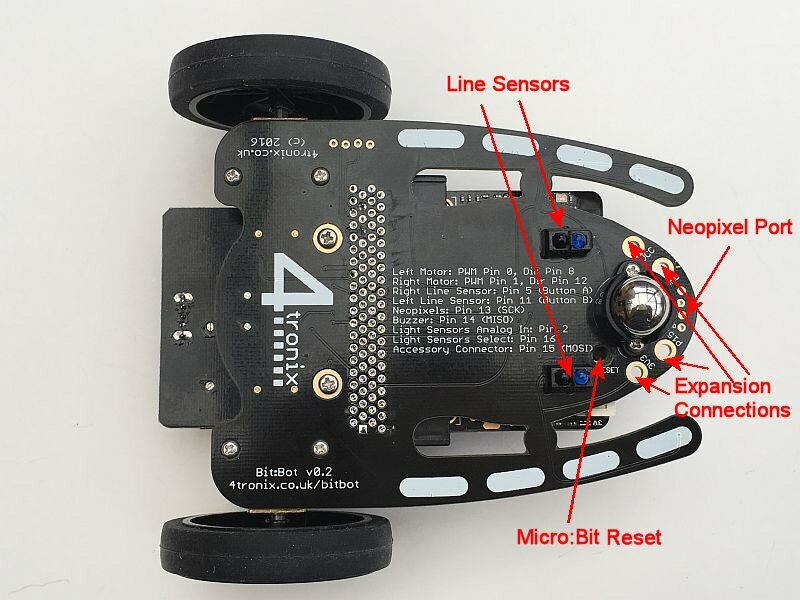 If using the battery, this is likely to be around 4.5 to 4.8V using alkaline batteries, or 3.6 to 4.0V using rechargeable batteries. 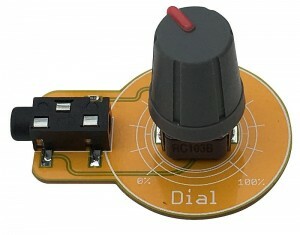 Not all HATs will work at these voltages. 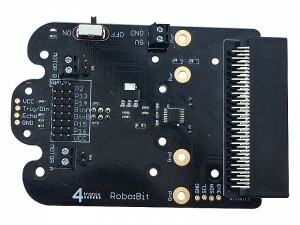 The male header block closest to the Micro:Bit (labelled MBit/RPi in v1.0) is where most of the configuration is done. 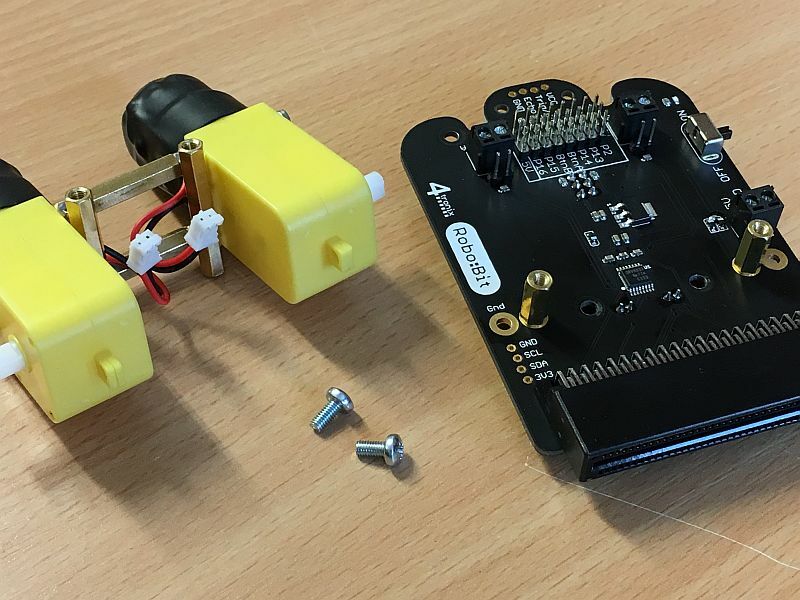 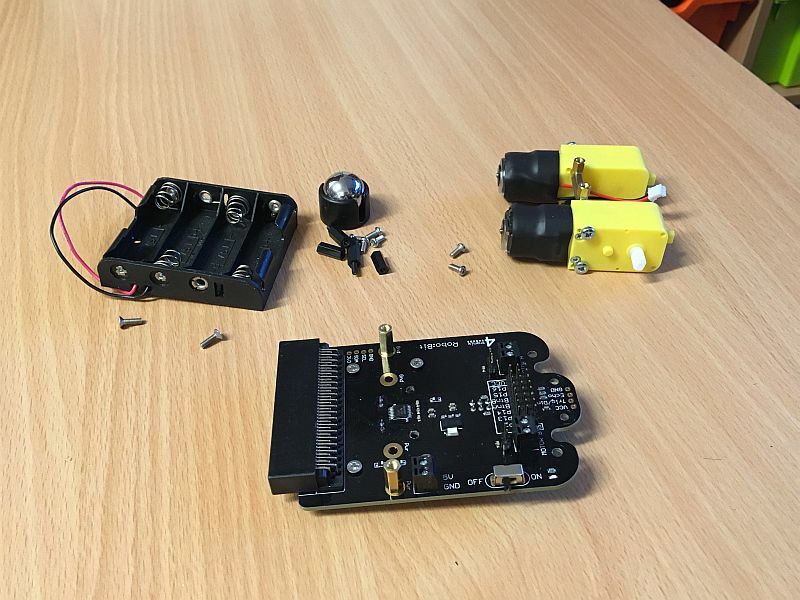 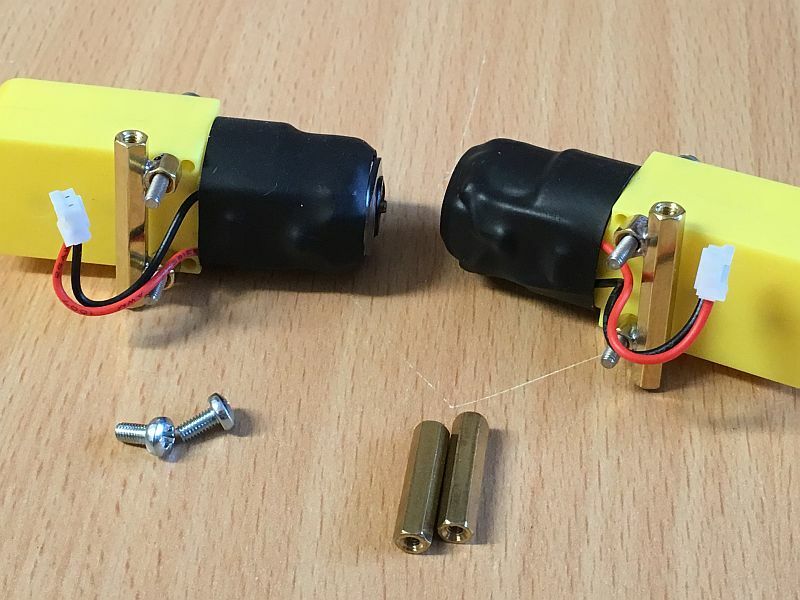 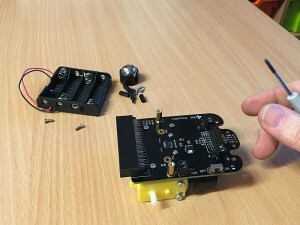 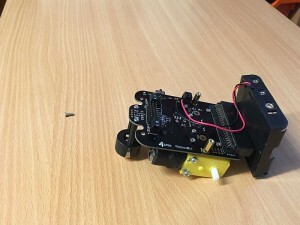 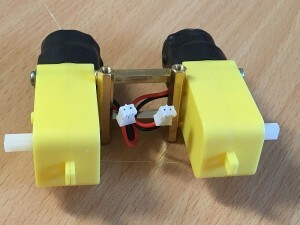 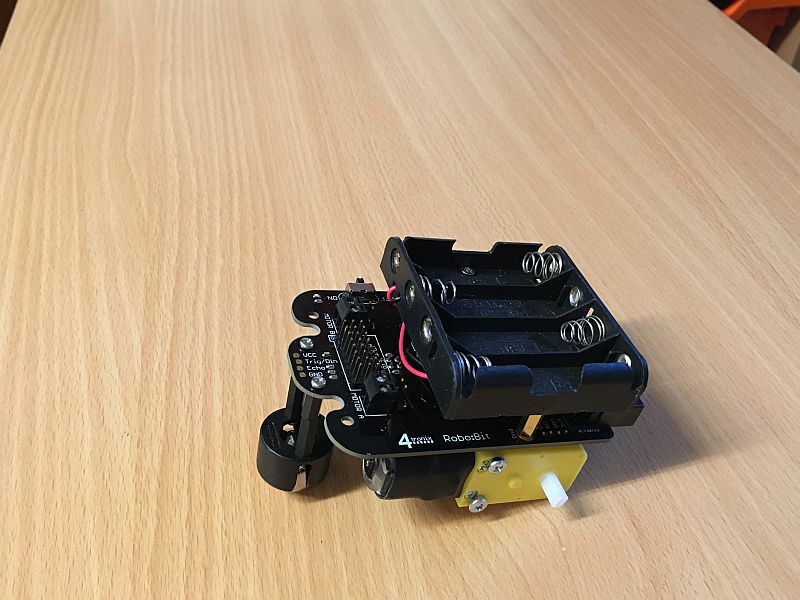 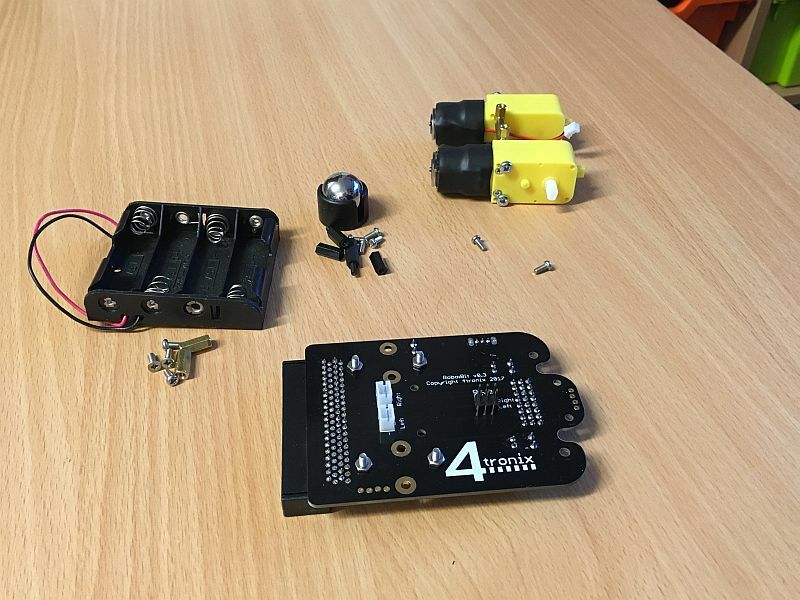 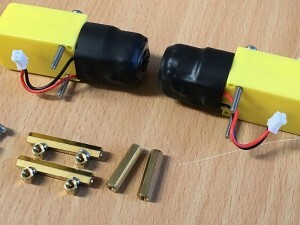 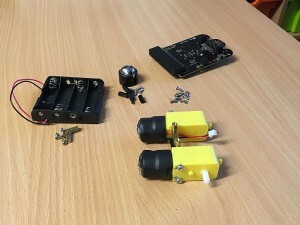 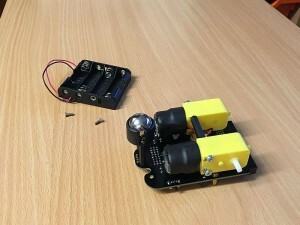 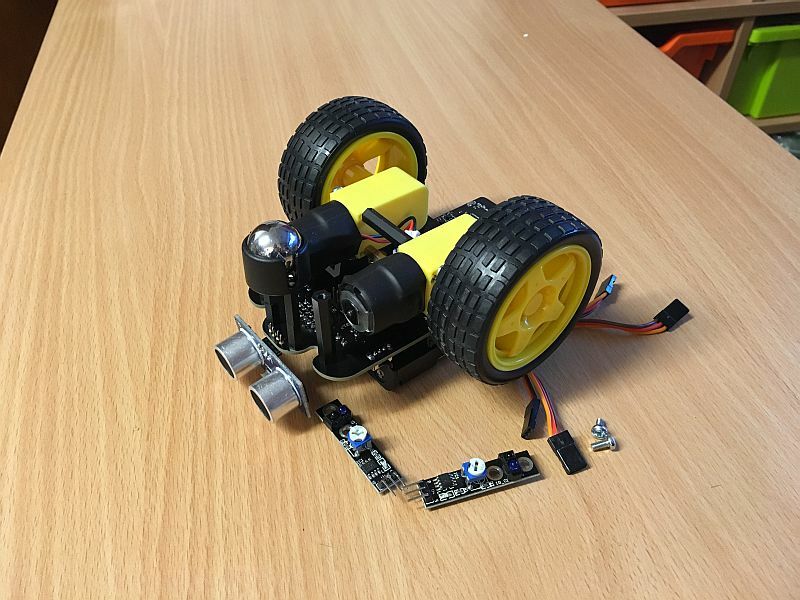 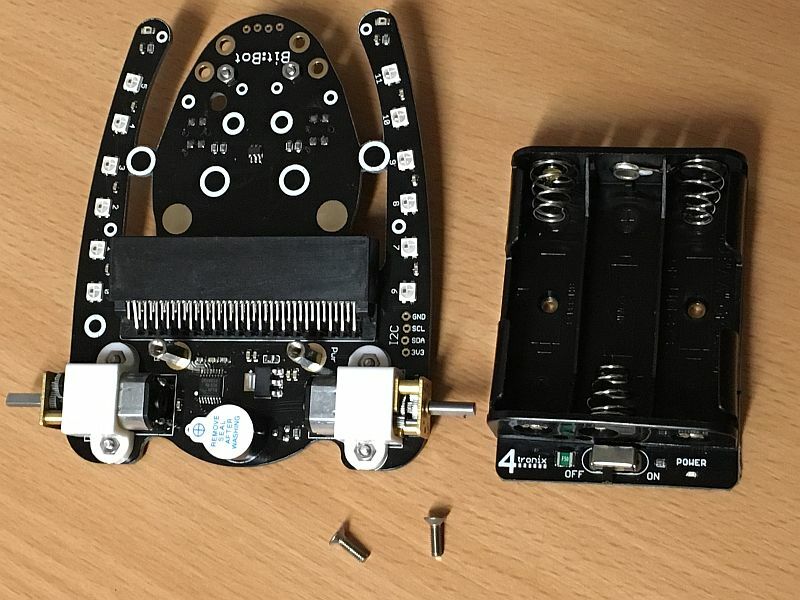 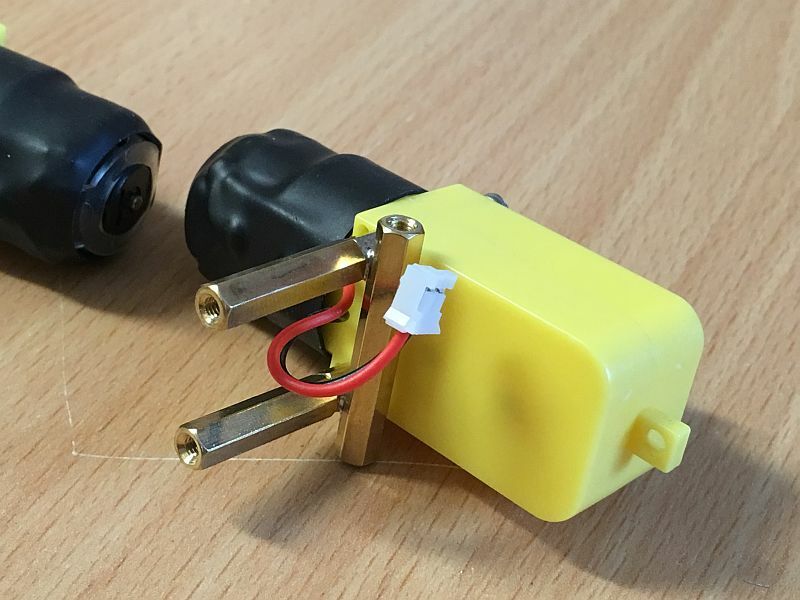 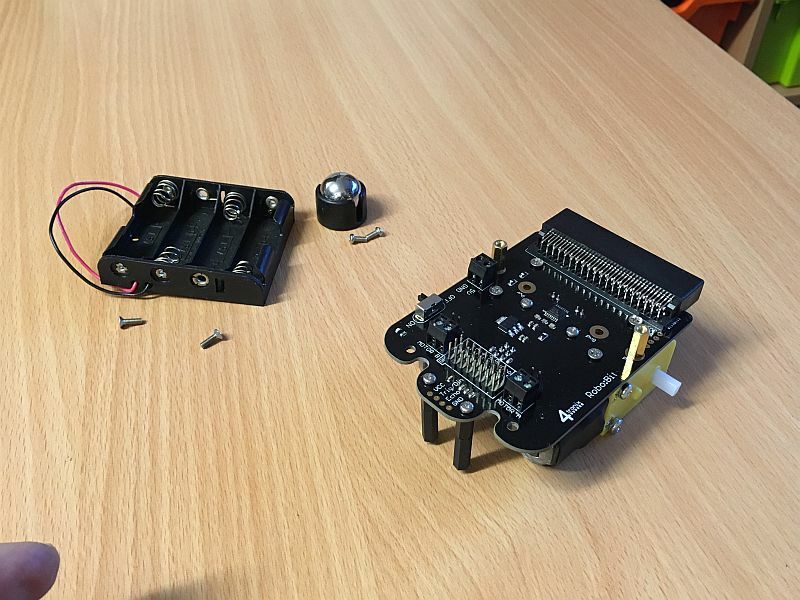 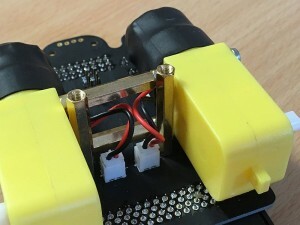 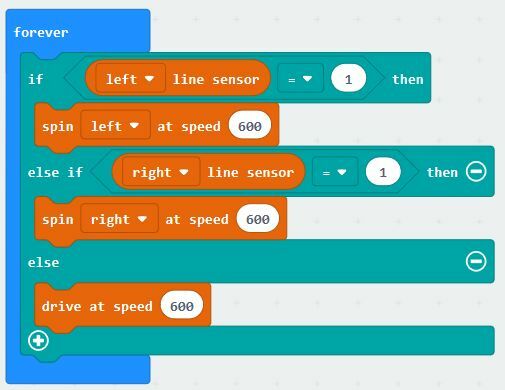 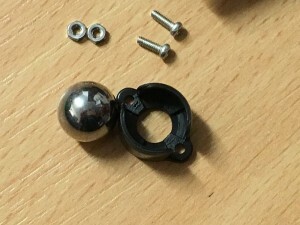 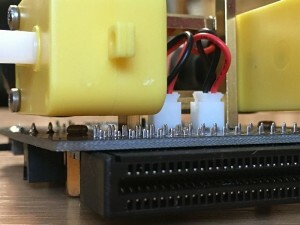 If you need to connect something differently, then simply remove the appropriate black jumper(s) and use a short Female-Female dupont wire to connect theMicro:Bit pin(s) to the appropriate Raspberry Pi pins. 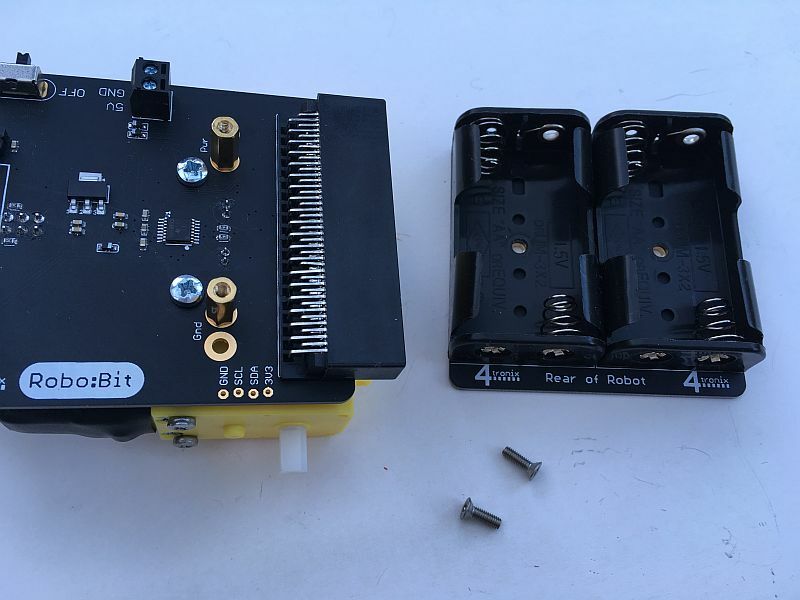 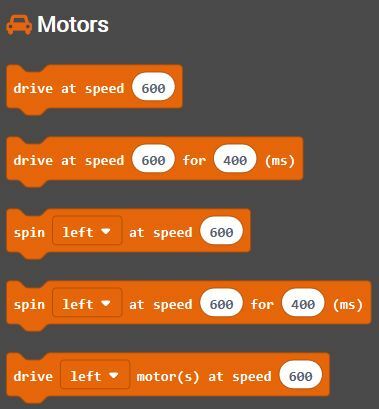 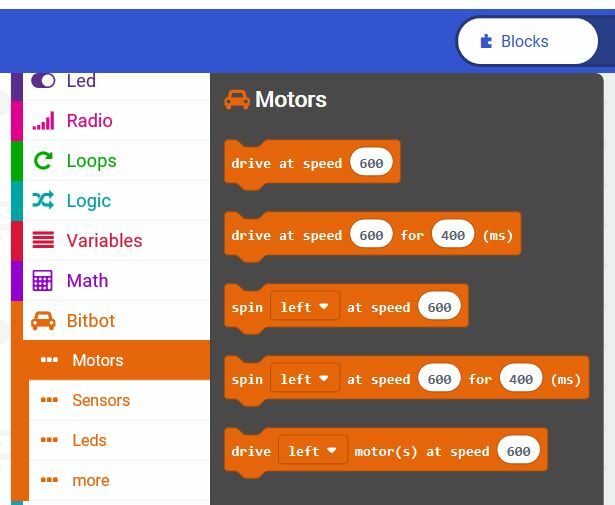 Several people have written some software for the Micro:Bit to work with Raspberry Pi addon boards using the Bit:2:Pi adaptor. 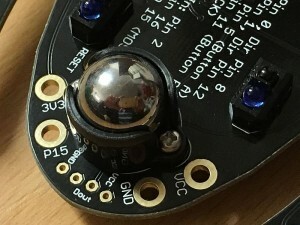 Many thanks go out to these contributors! 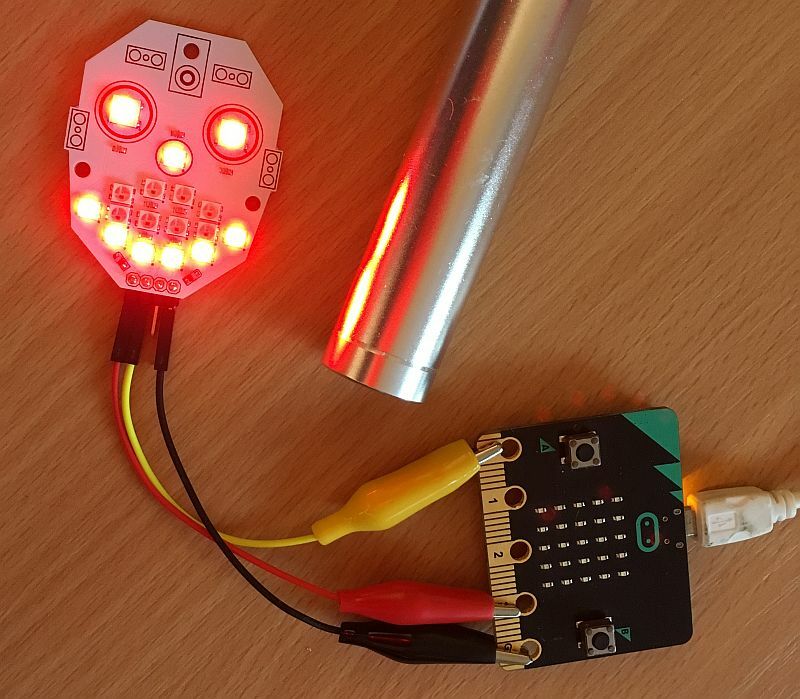 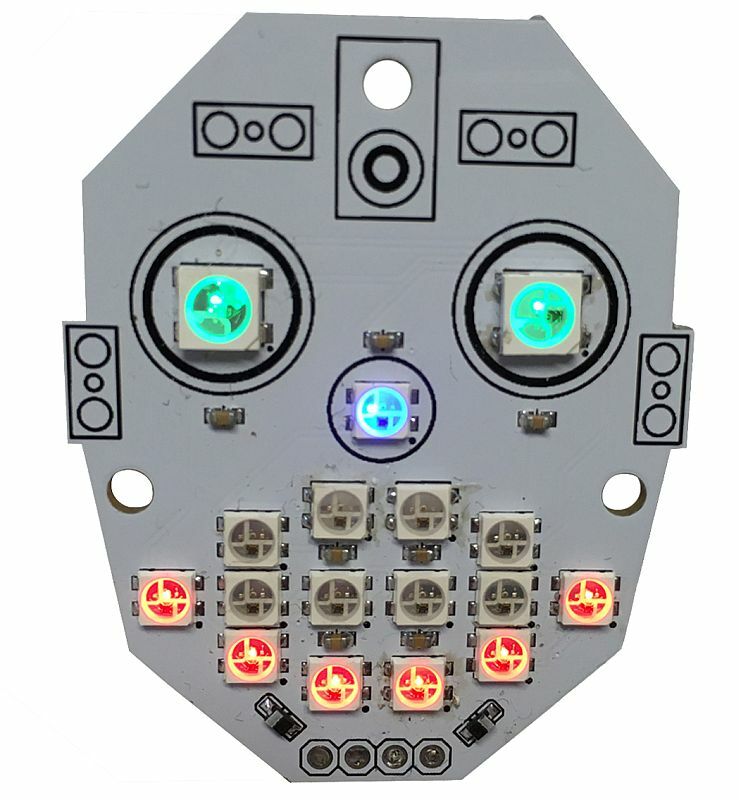 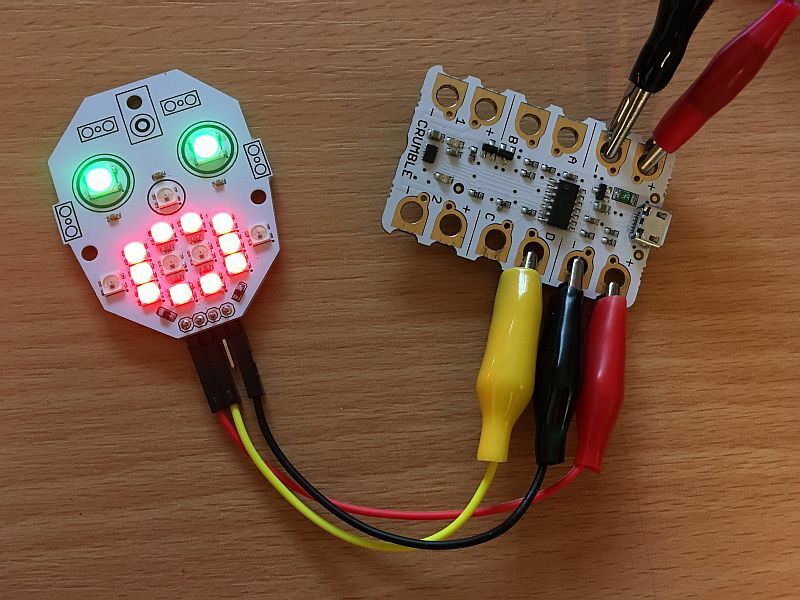 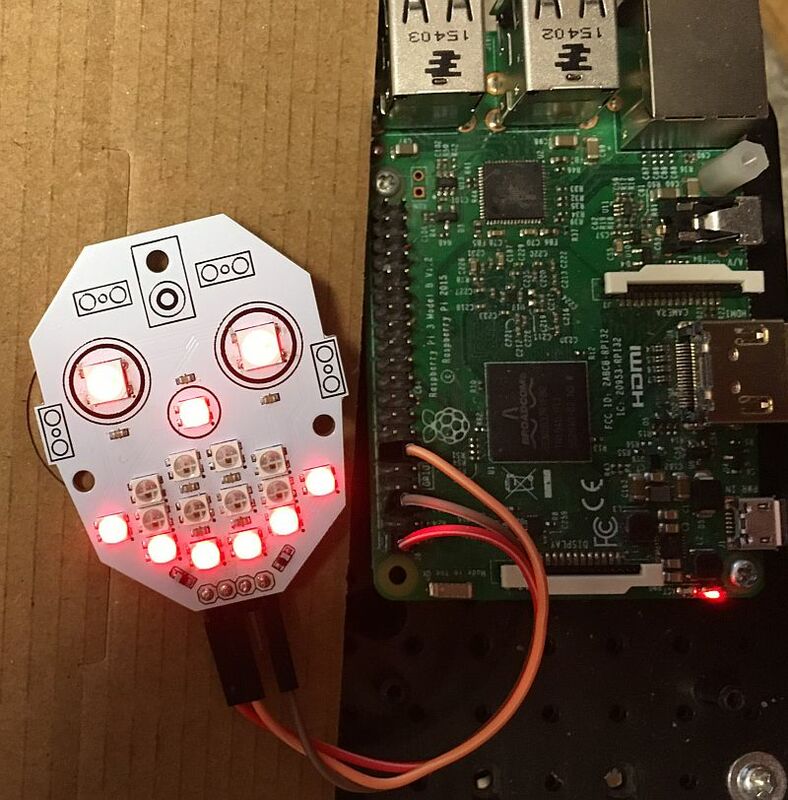 The McRoboFace is a robotic face with 17 individually controllable RGB LEDs that you can use to bring your electronic creations to life. 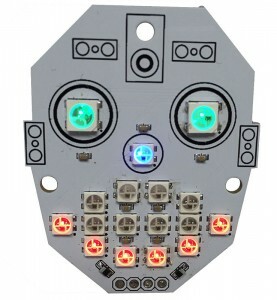 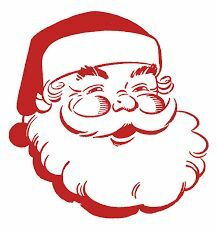 Each LED can be set to any of 16 million different colours (256 for each of Red, Green and Blue). 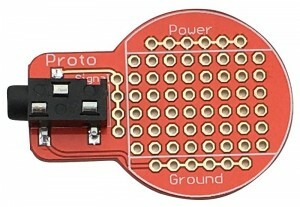 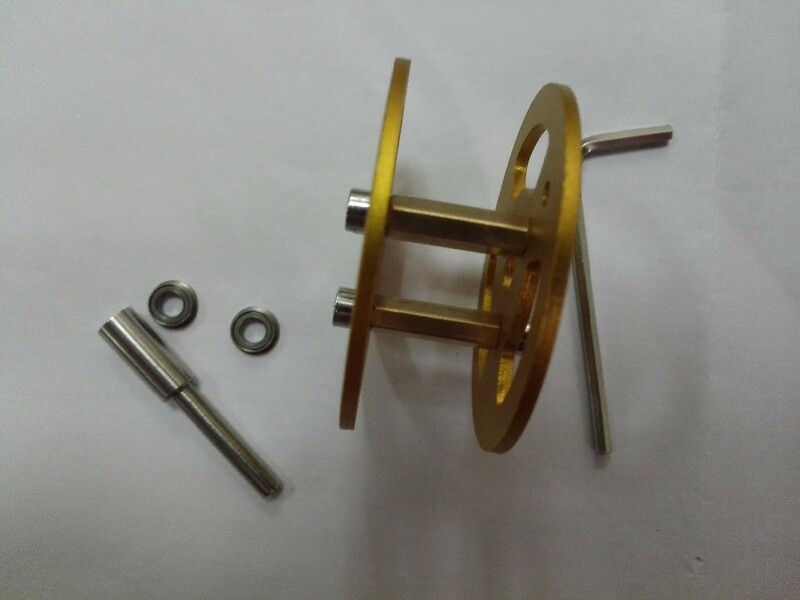 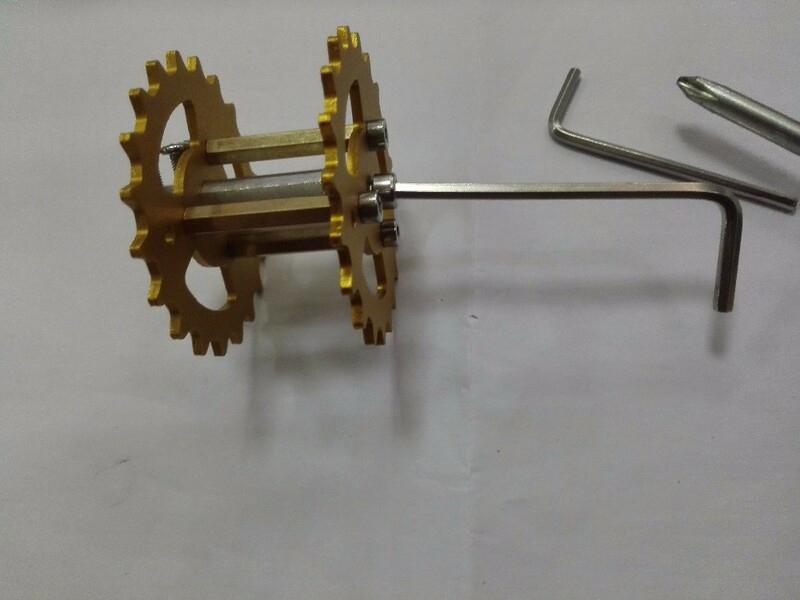 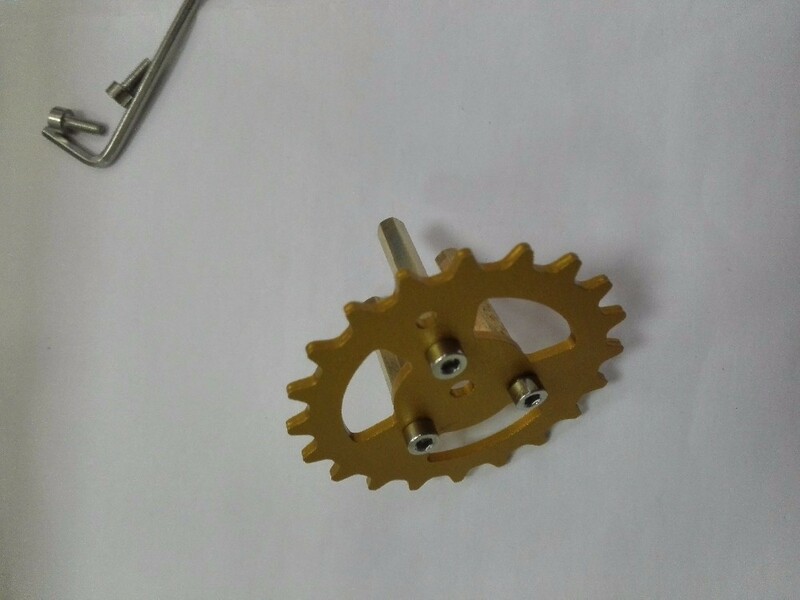 Dout – Data Output pin. 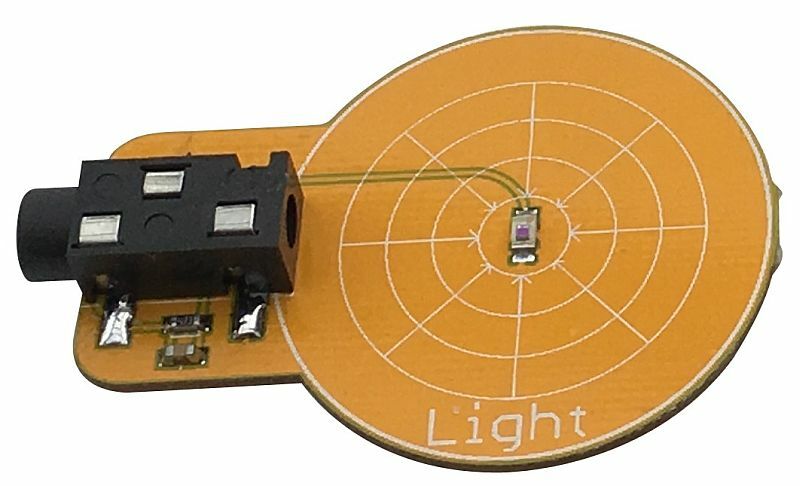 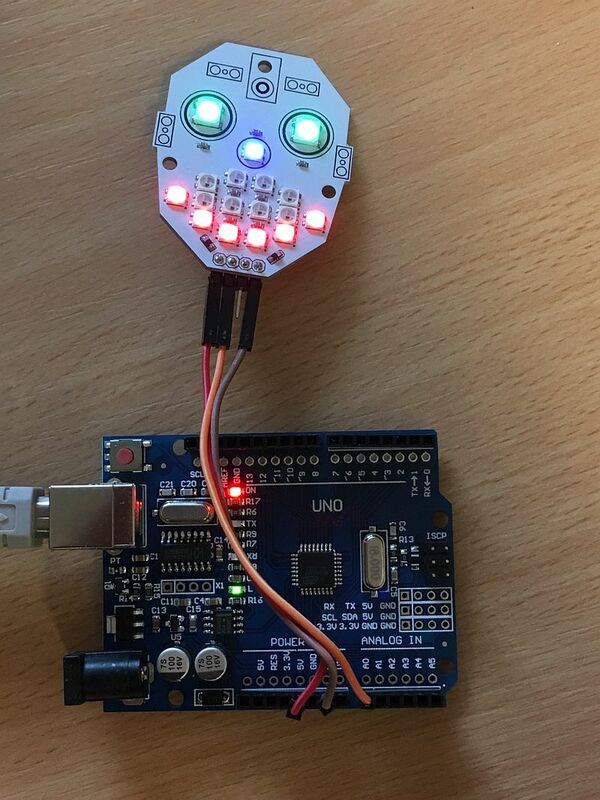 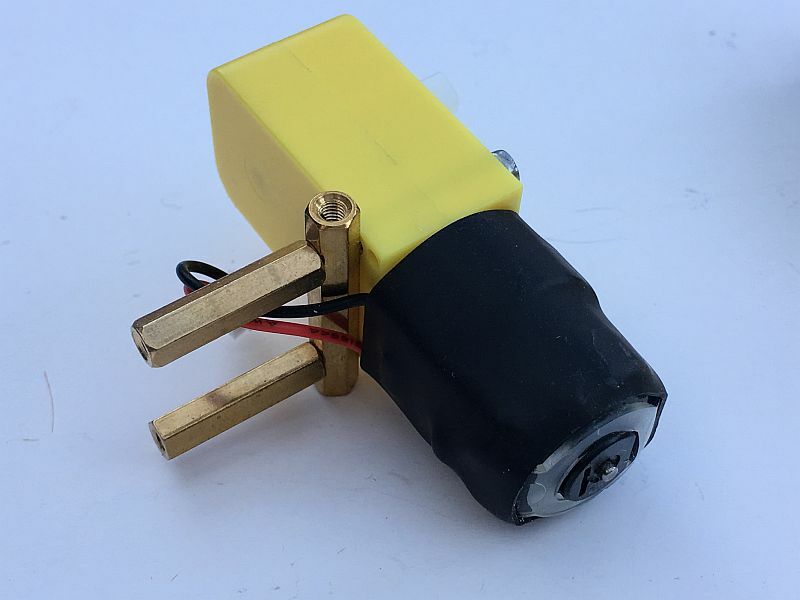 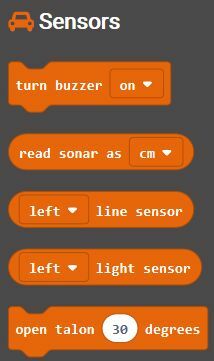 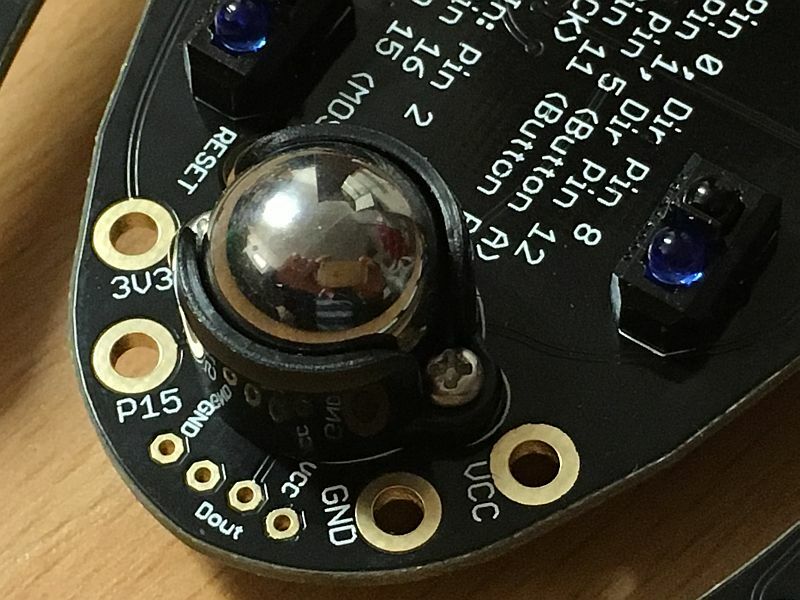 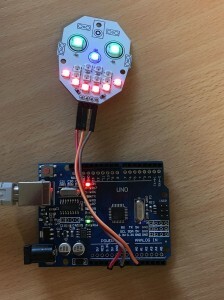 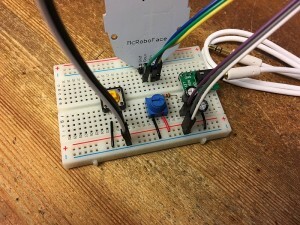 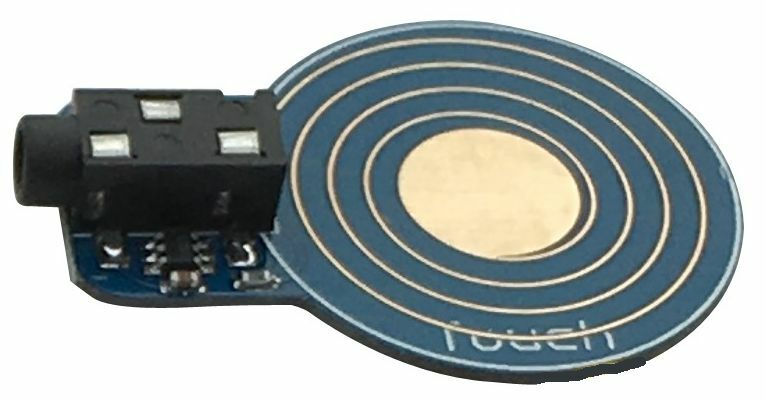 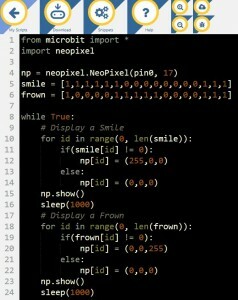 Use this to connect additional smart pixels such as another McRoboFace, a CodeBug GlowStar/GlowBug, Crumble Sparkles or an Adafruit neopixel strip etc. 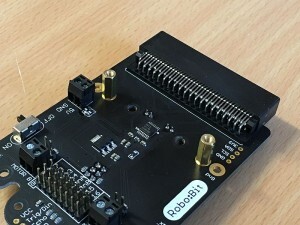 For the Arduino, any of the output pins will work. 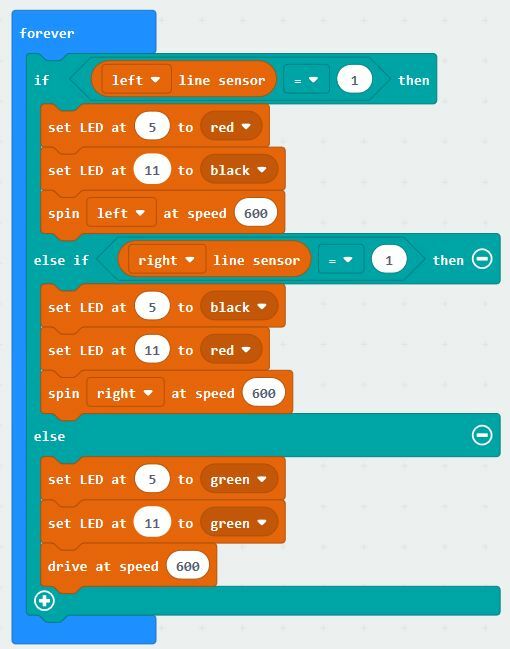 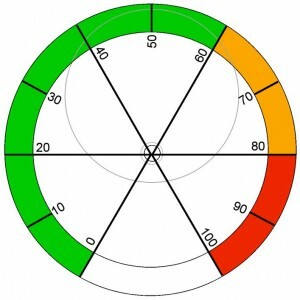 In this example we are using A0 as it is closest to the %V and Ground pins. 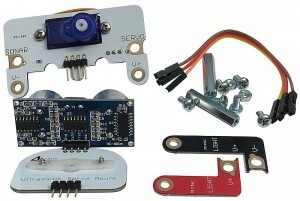 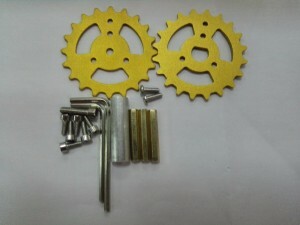 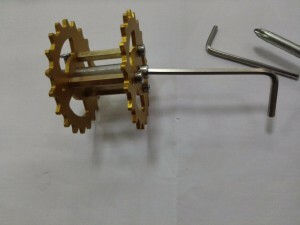 The code used relies on the well-known and well supported FastLED library. 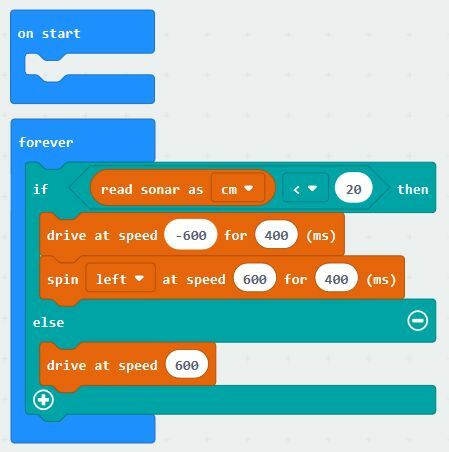 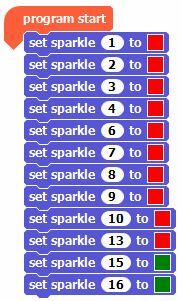 In the Arduino IDE, go to Sketch / Include library / Manage Libraries and then search for FastLED. 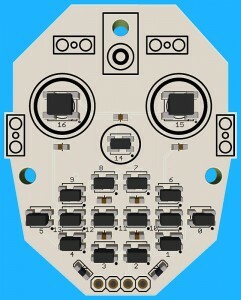 Select it and install. 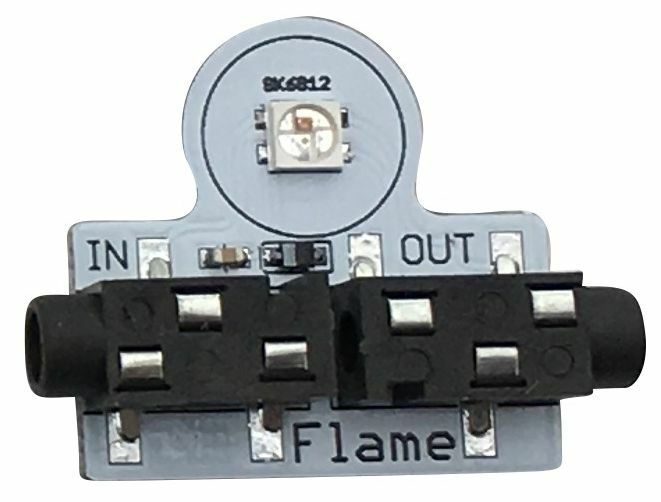 to change any pixel, set its RGB value in the led array, eg. 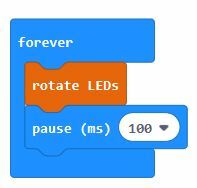 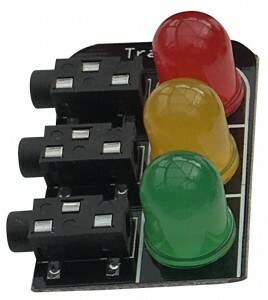 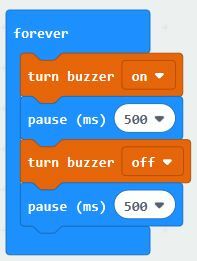 leds  = CRGB (RedValue, GreenValue, BlueValue); When you have set all the pixels you need, then call FastLED.show ( ); to transfer the changes to the pixels. You need to use GPIO 18, which is physical pin 12. 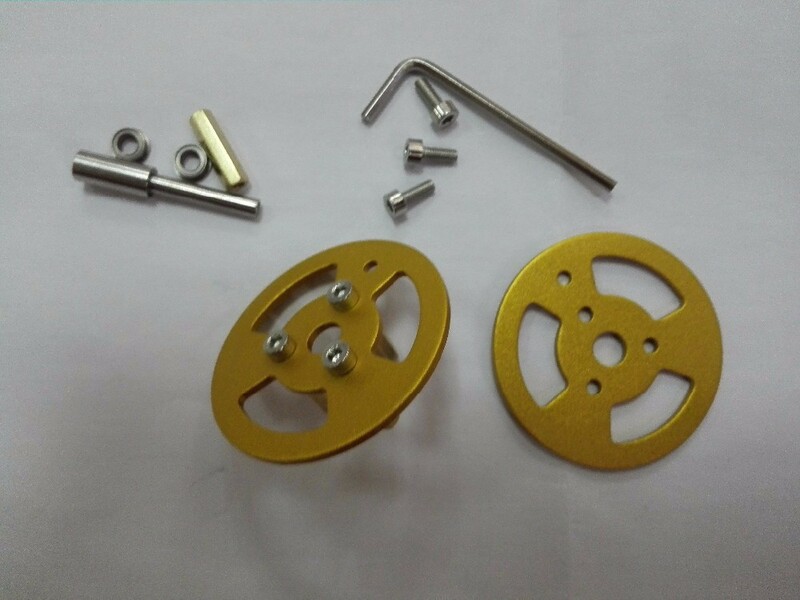 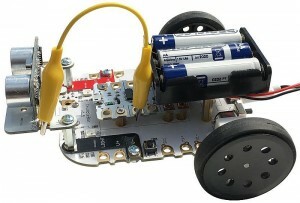 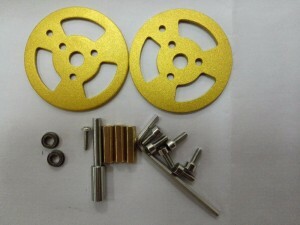 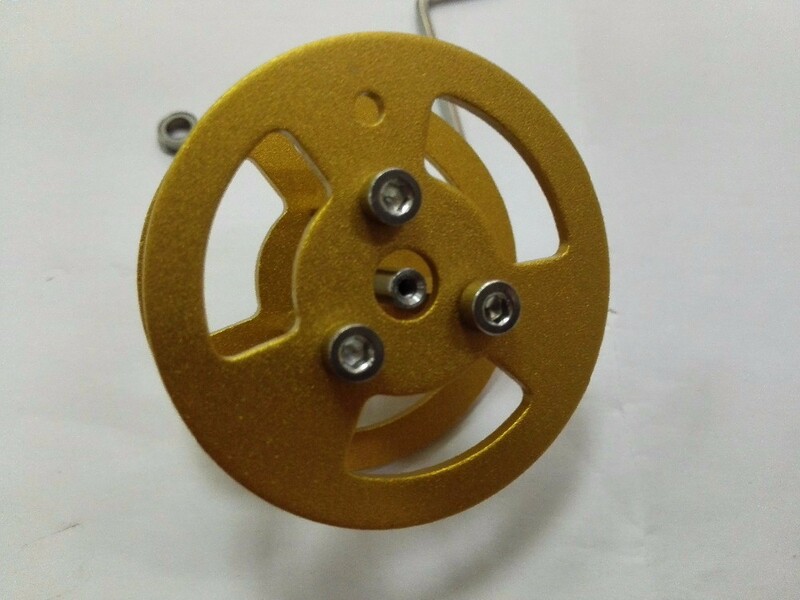 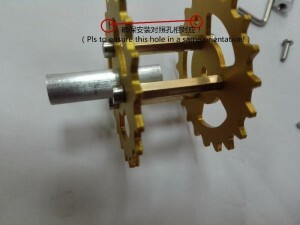 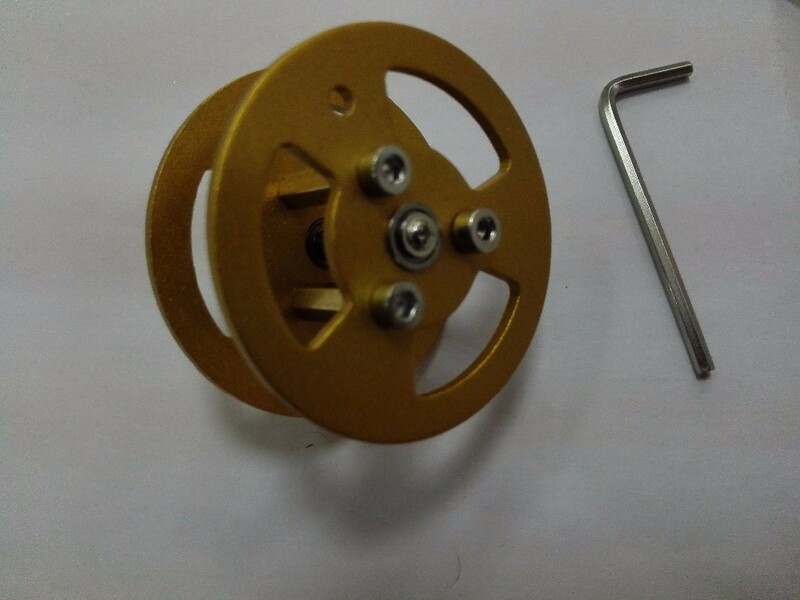 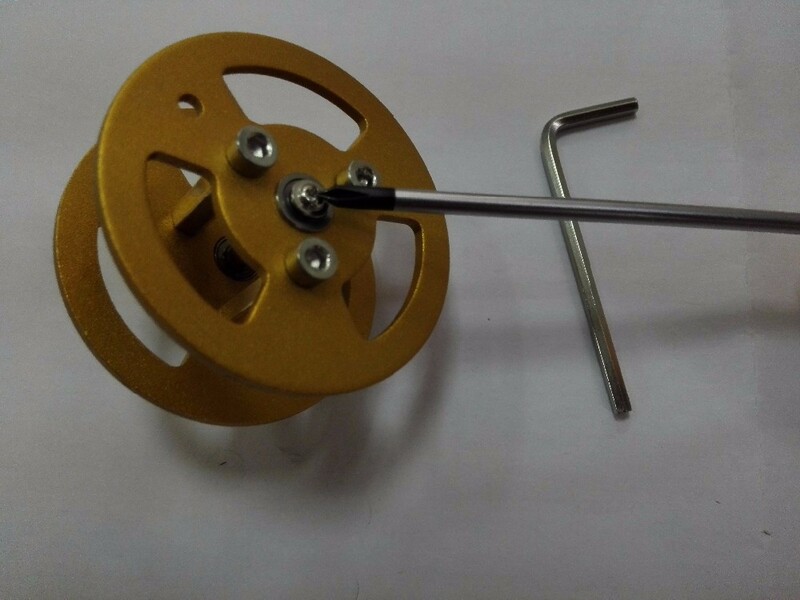 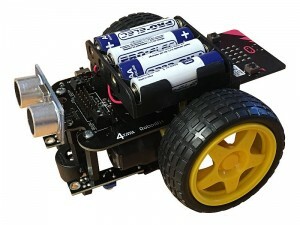 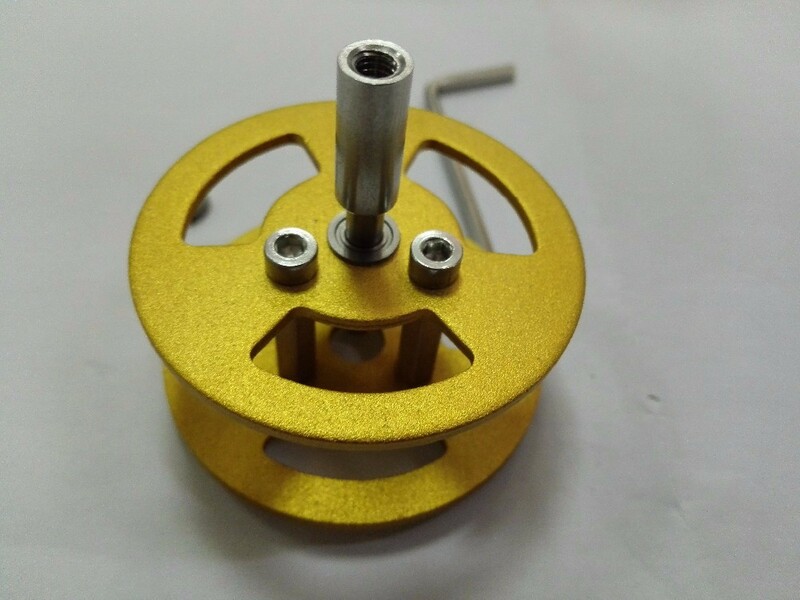 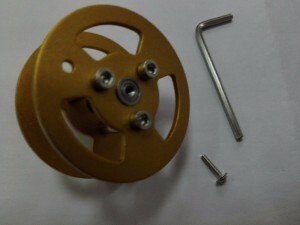 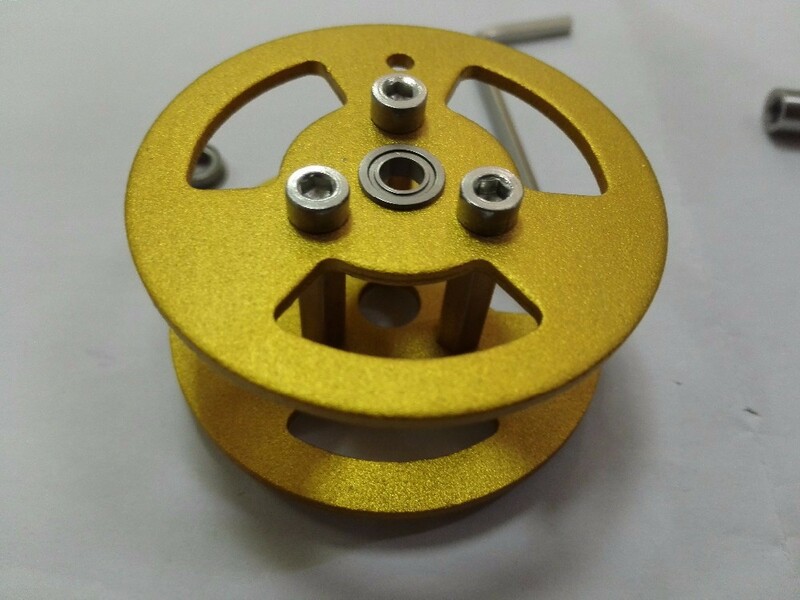 You can use the 5V and Ground pins directly. 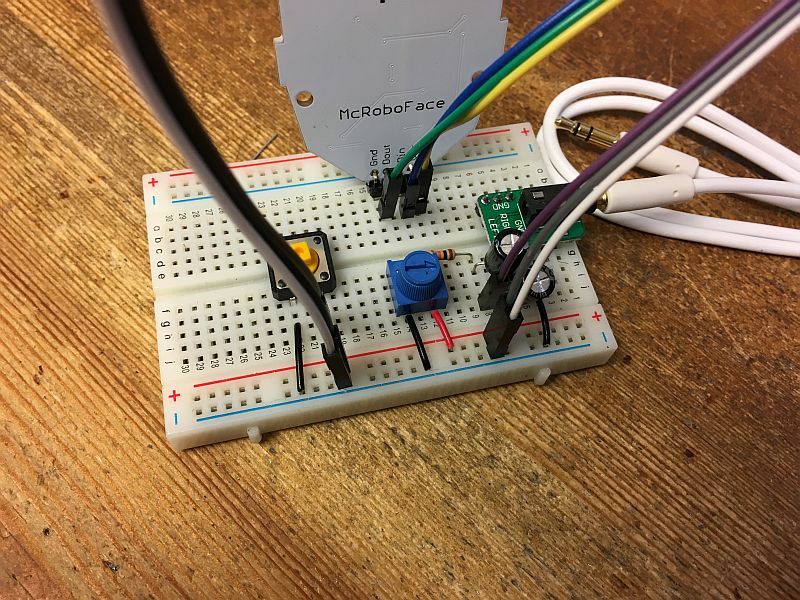 No level changers are required as the pixel can be controlled using 3.3V quite happily as shown. 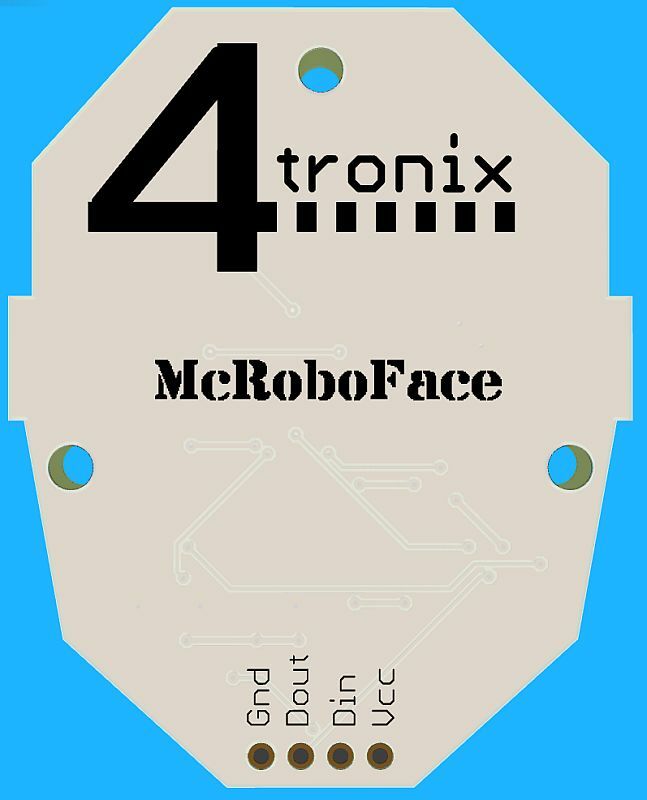 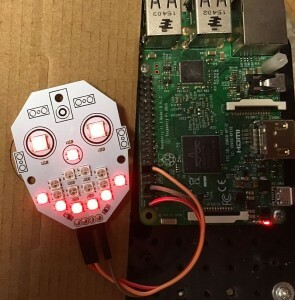 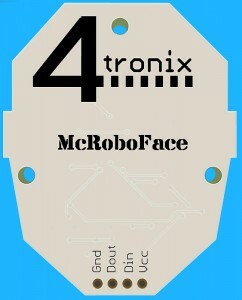 The Kickstarter campaign for McRoboFace included an option for some electronics that allowed the mouth of McRoboFace to be controlled by an audio input signal.